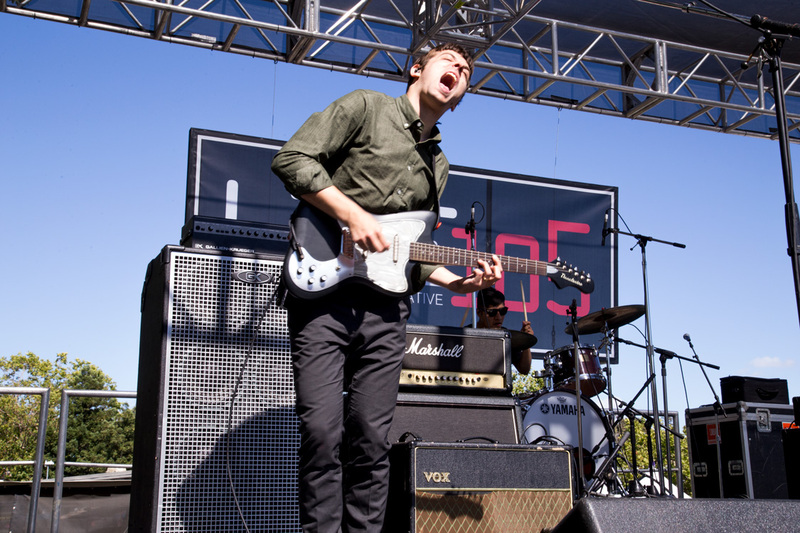 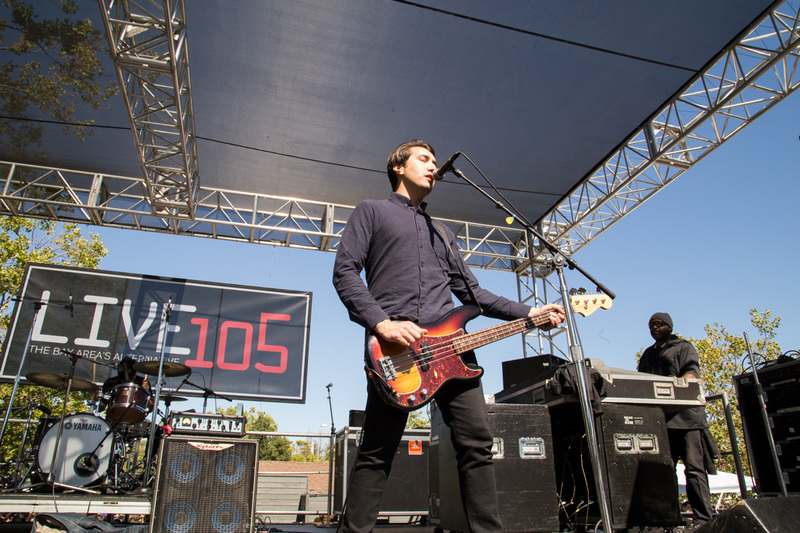 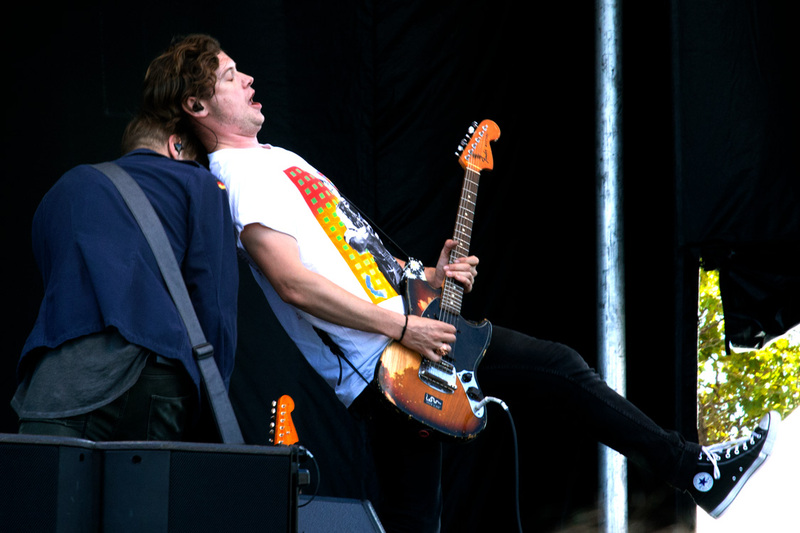 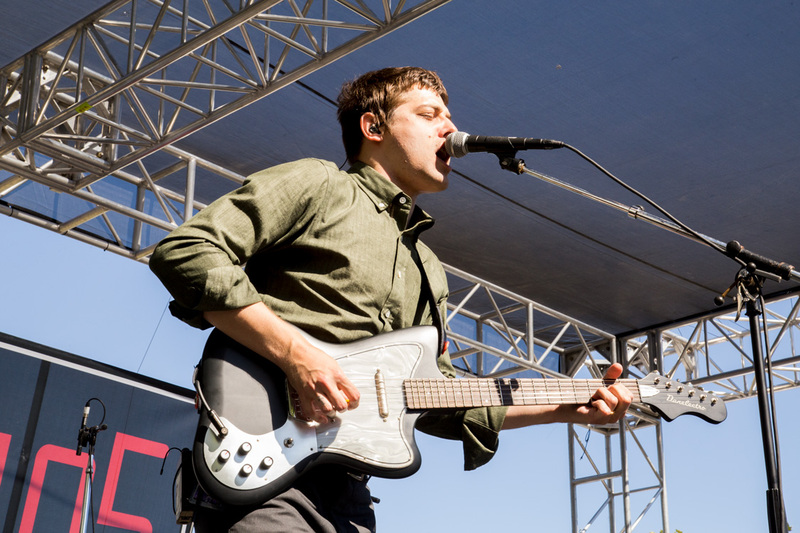 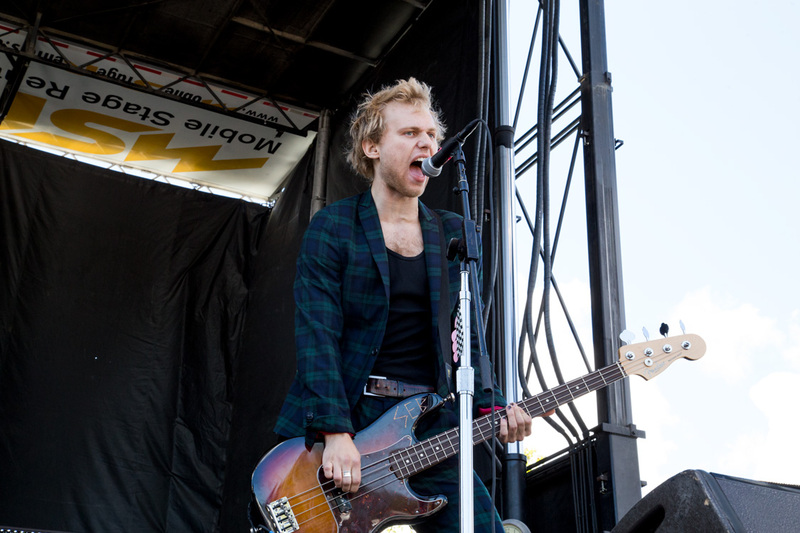 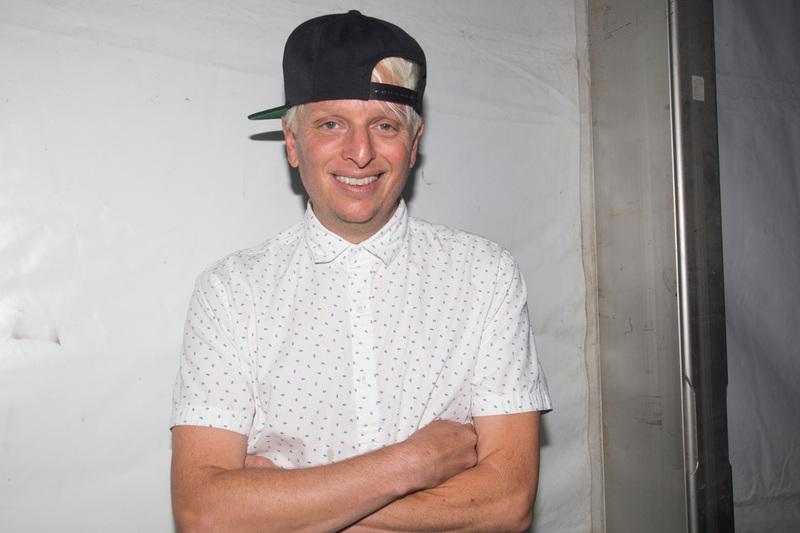 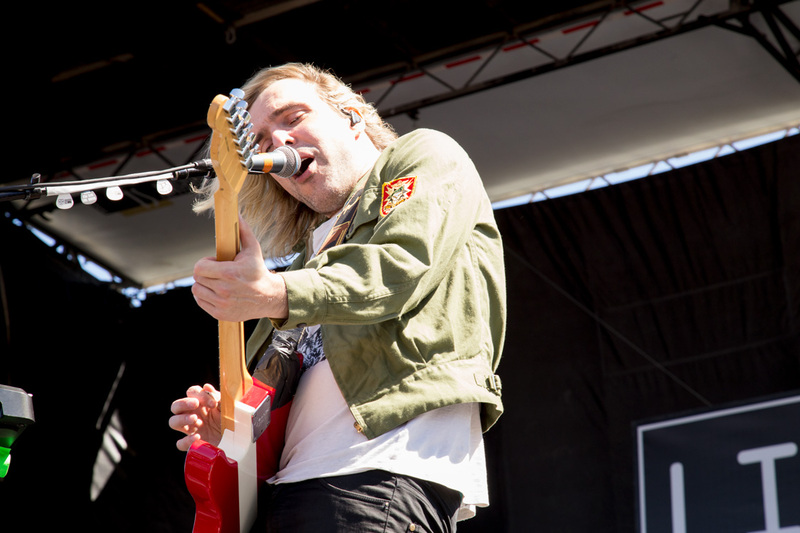 With headliners like Phoenix and Franz Ferdinand Live 105's BFD is just what the name stands for, a Big F***ing Deal. 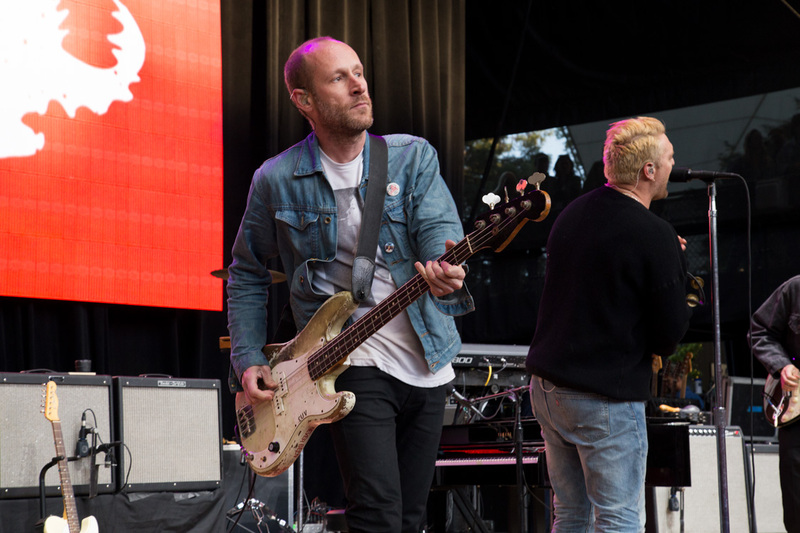 While those bands alone are worth a $37- $90 ticket, the one-day festival also featured dozens of other amazing artists. 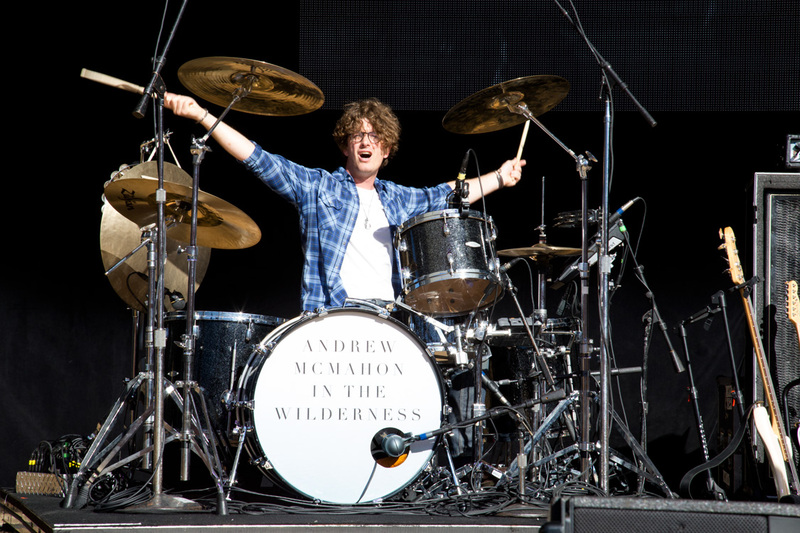 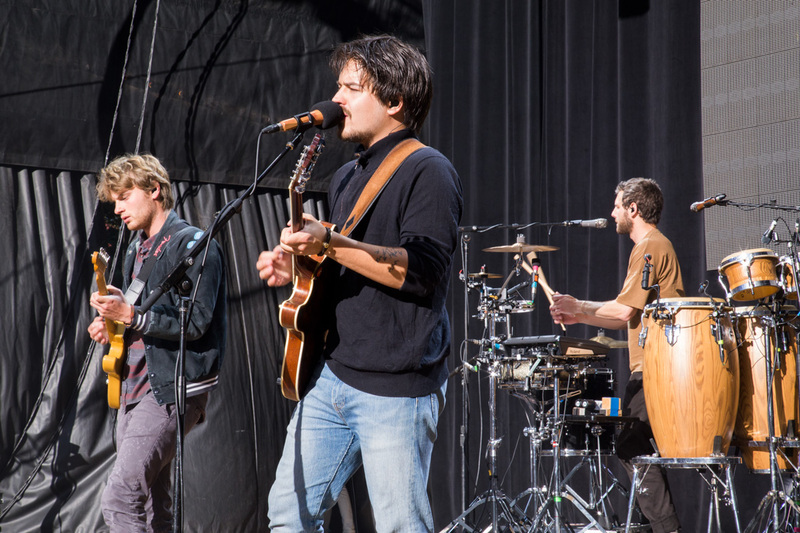 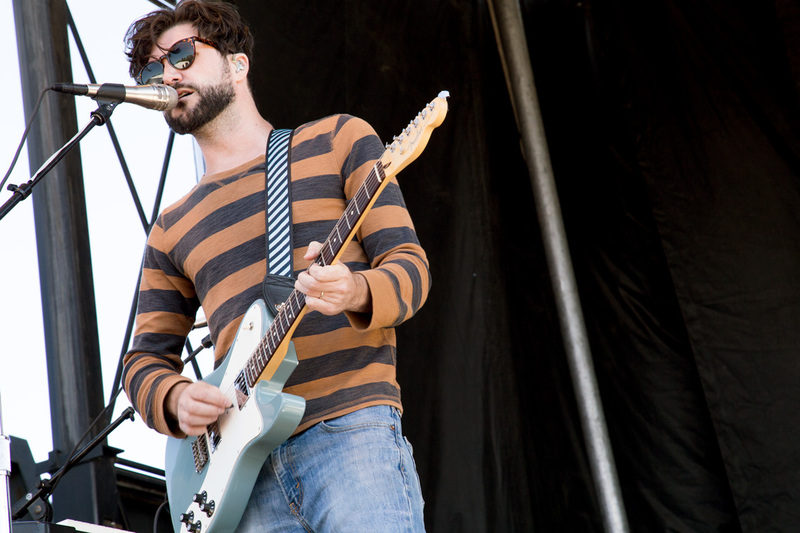 Among the list of performers were Milky Chance, Andrew McMahon in the Wilderness, SWMRS, Dreamers, Picture Atlantic, Missio, Taking Back Sunday, and the New Up. 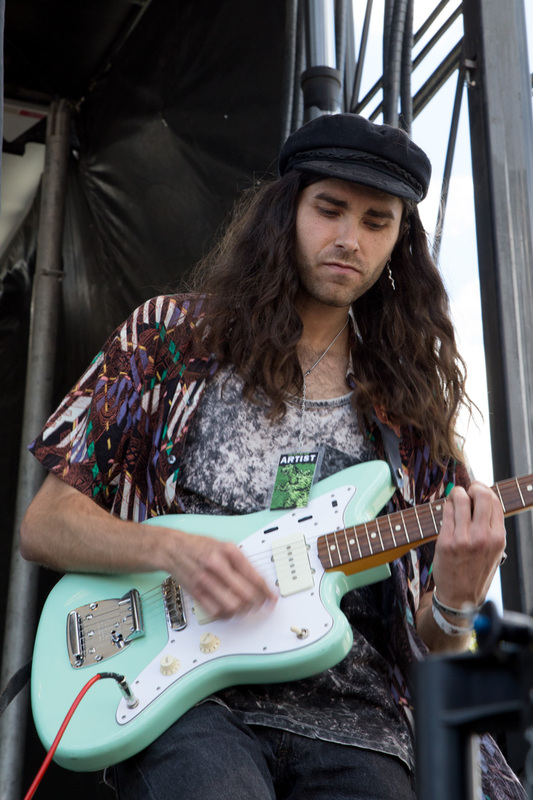 I snapped pictures of musicians on each of the four festival stages (well, five if you count the two rotating Bud Light festival stages) and caught up with a few acts who made this year's festival a little extra special. 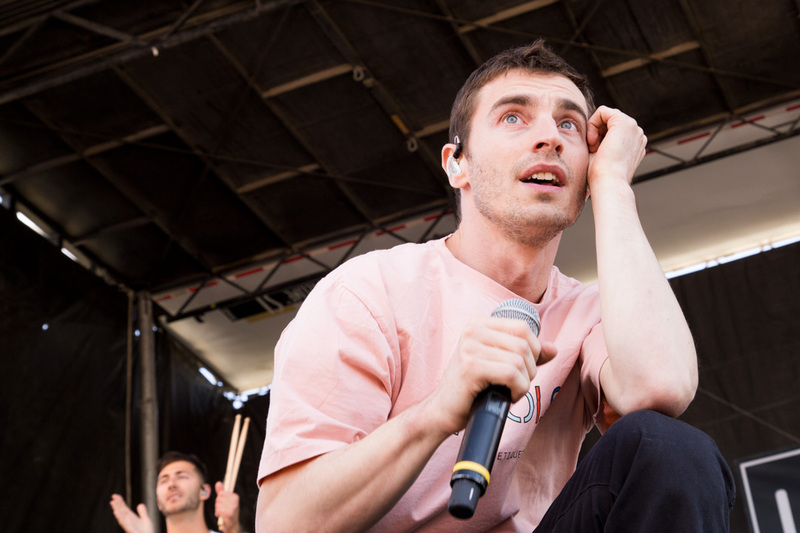 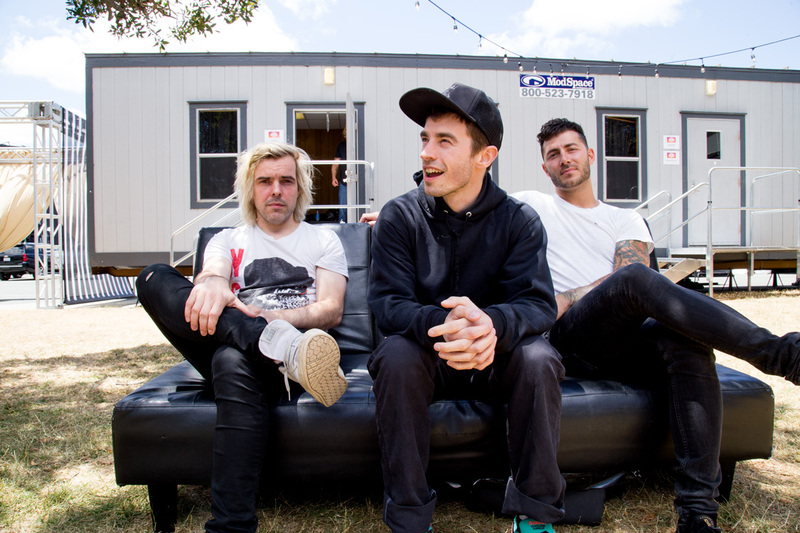 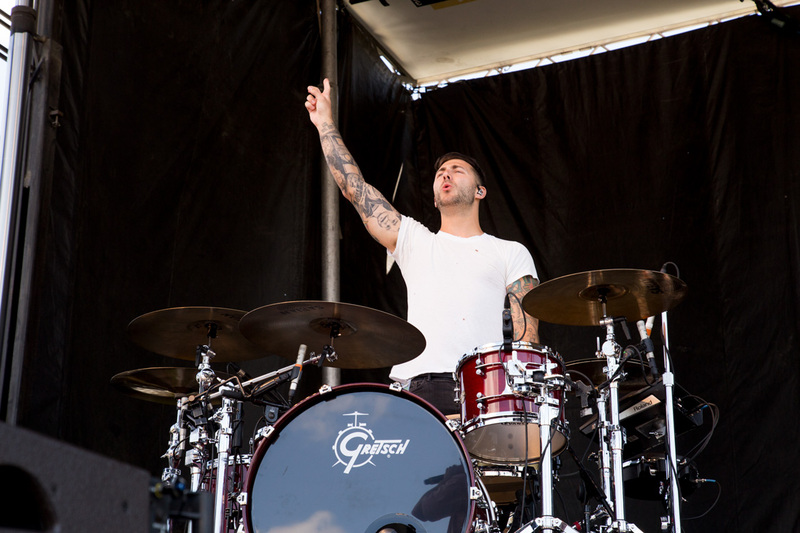 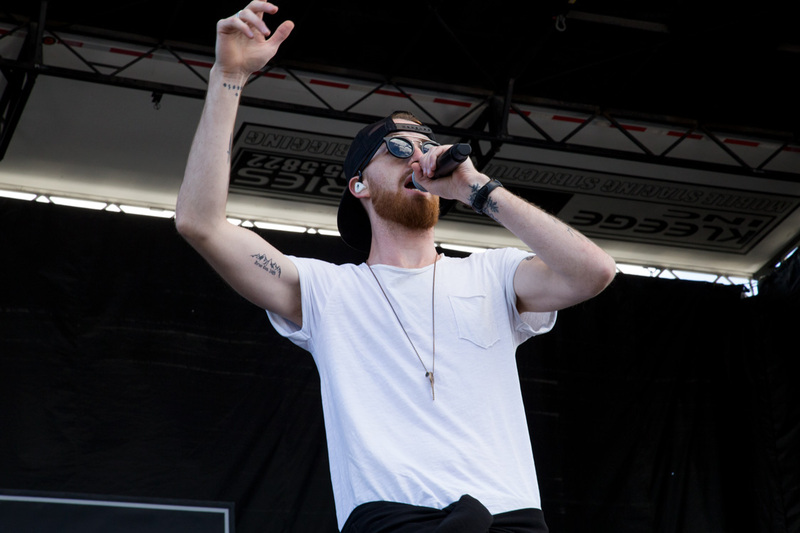 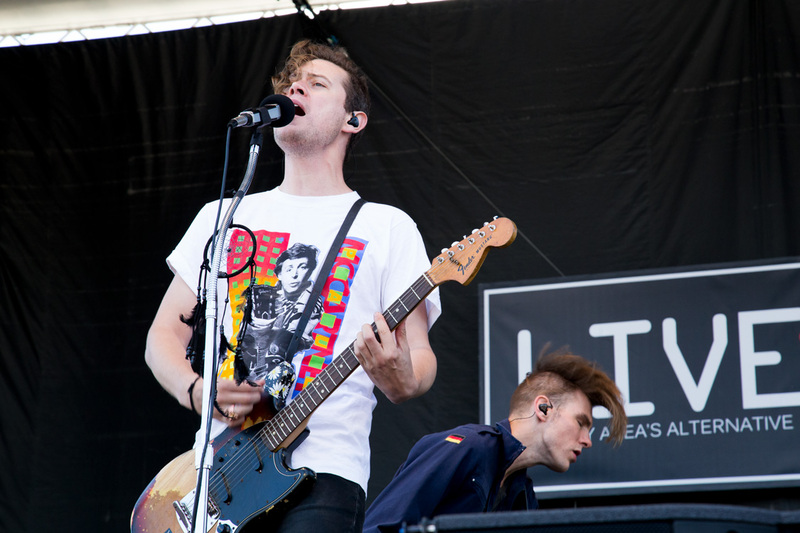 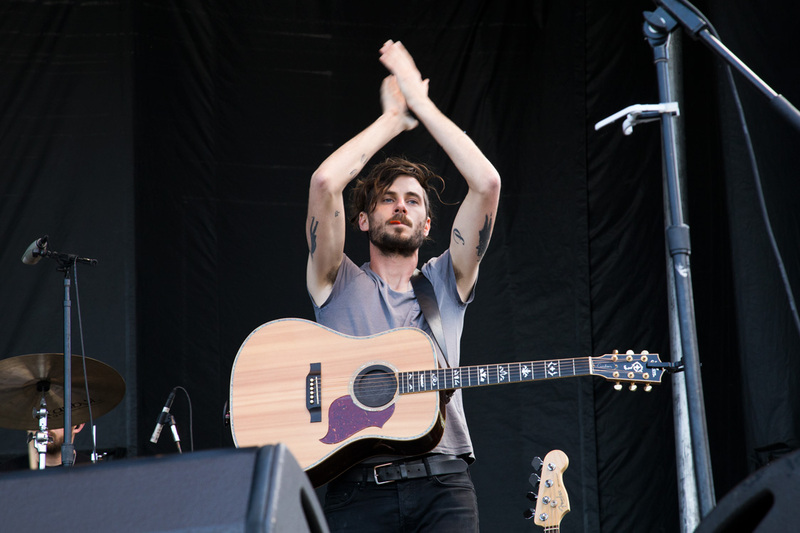 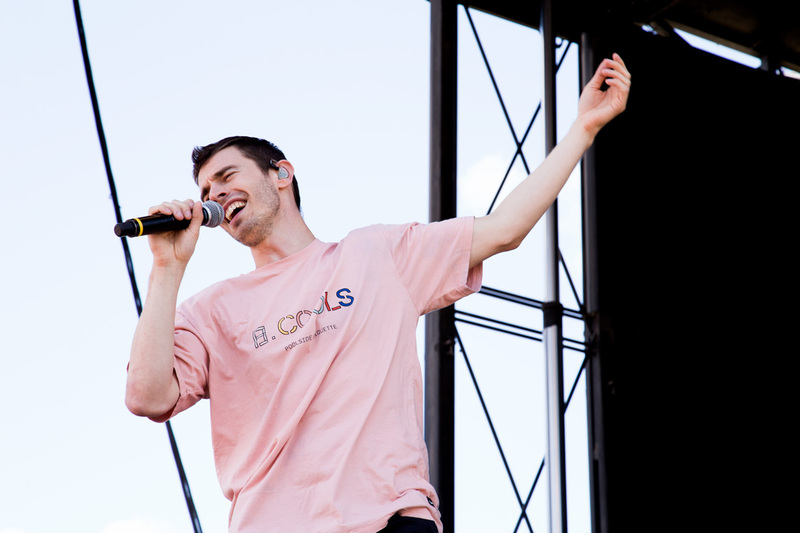 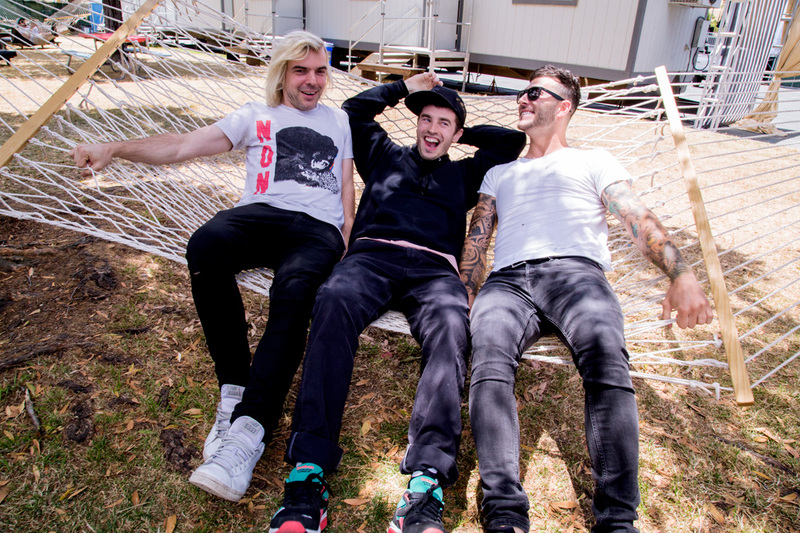 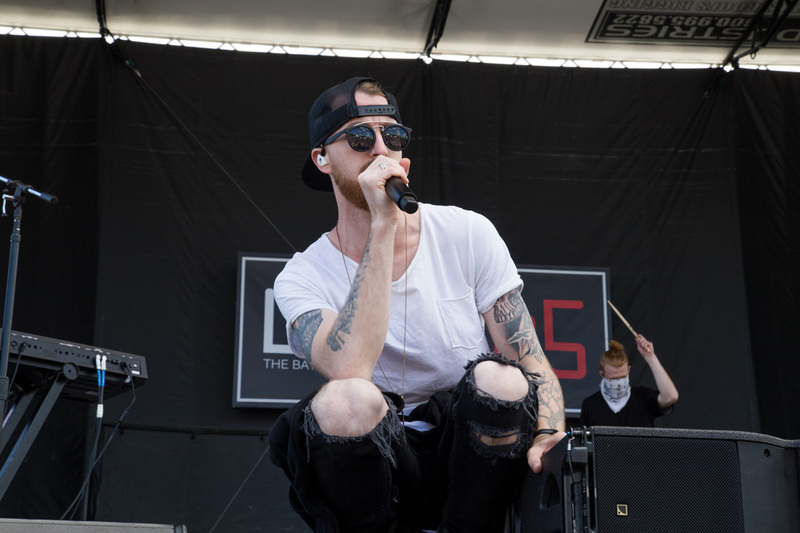 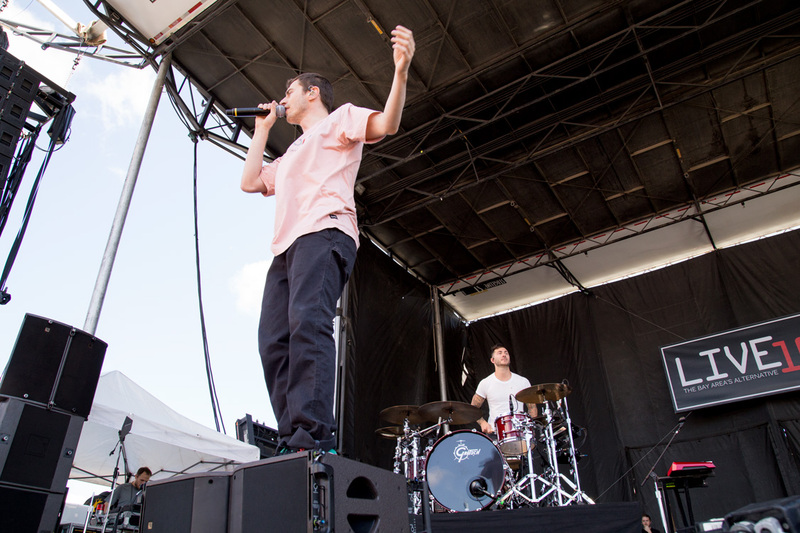 Make no mistake, though Danish rock band New Politics played at the 2013 or 2014 BFD, the band's set wasn't one to miss. 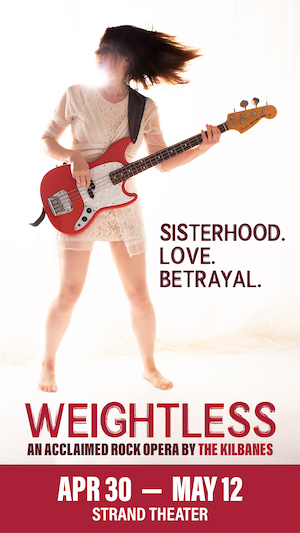 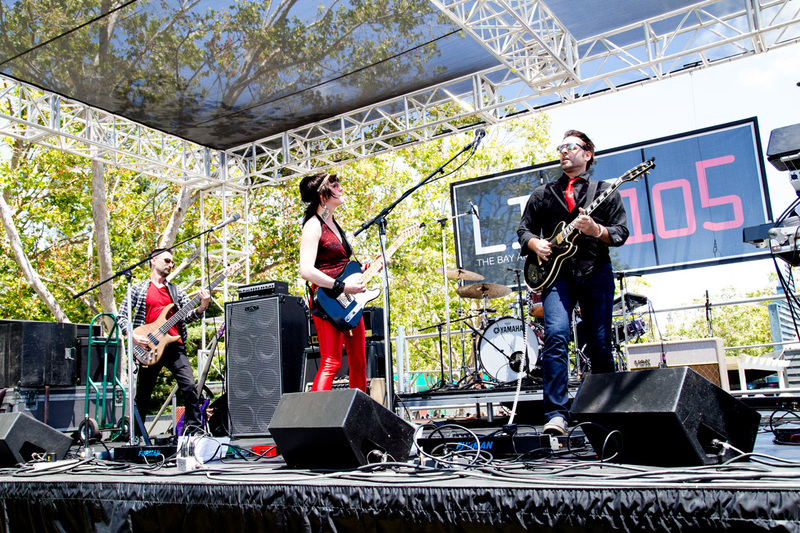 Trust me, there's a reason this band was booked numerous times. 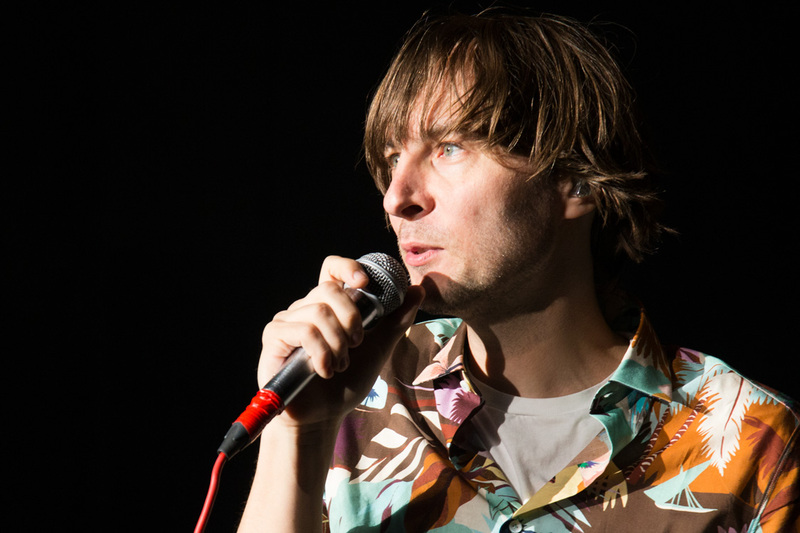 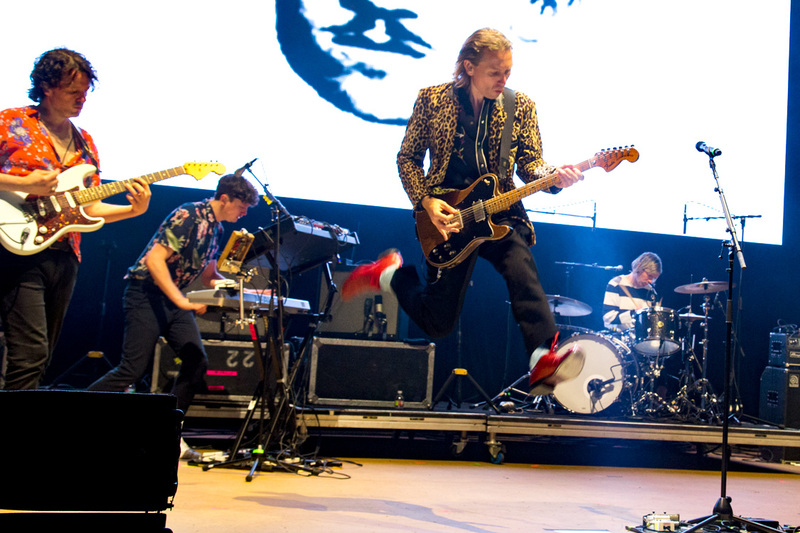 Aside from playing catchy dance-worthy numbers such as "Harlem" and "West End Kids," lead singer David Boyd not only astonished fans with his cool break dance moves but he also crowd-surfed and sang the majority of a song whilst balancing on eager fans. 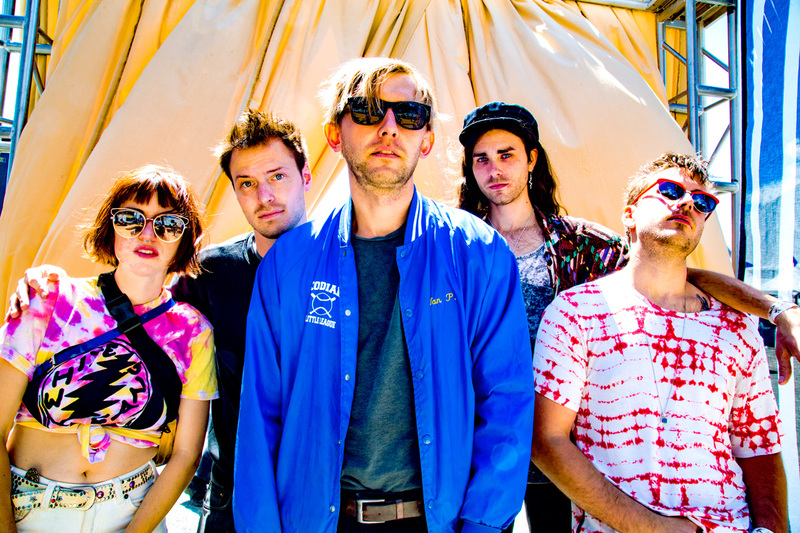 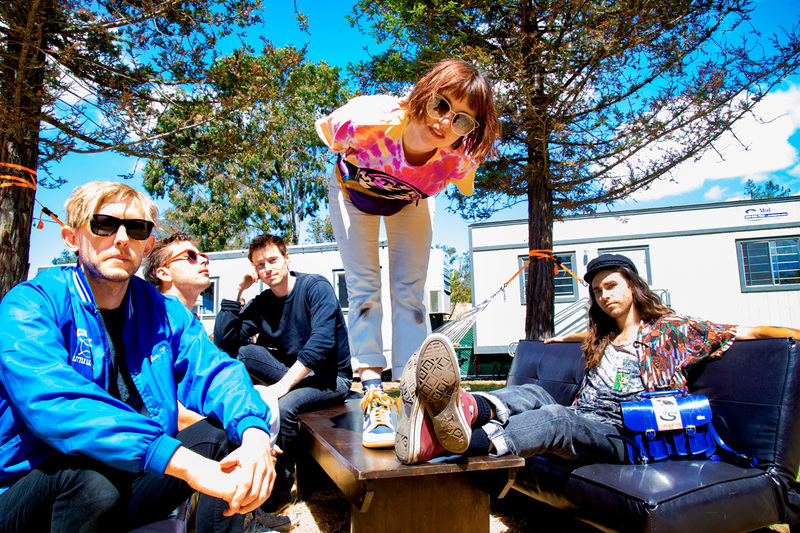 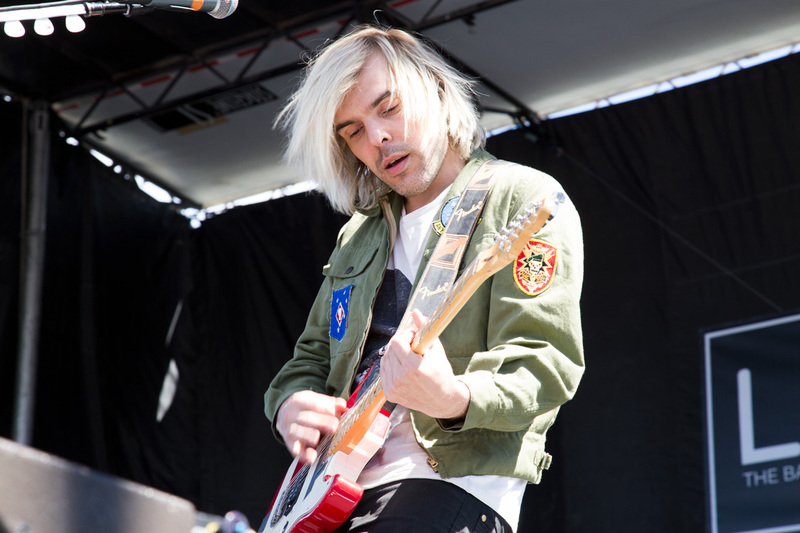 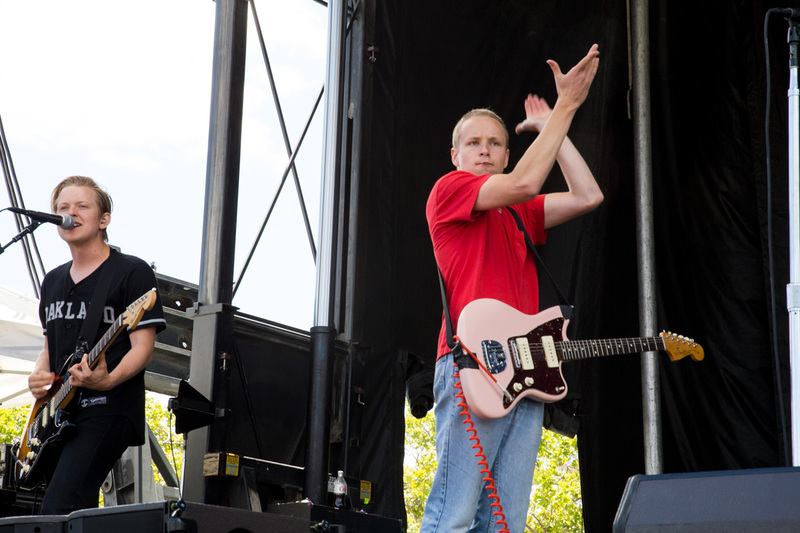 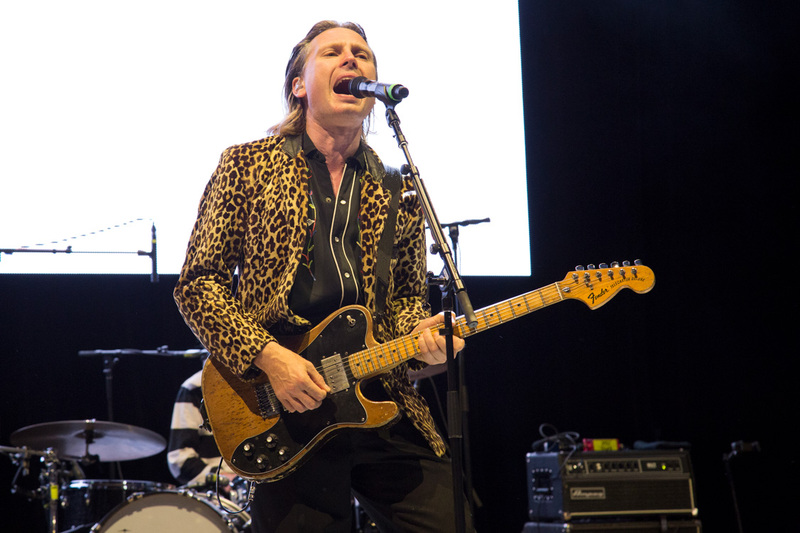 Local favorites and three-time BFD champions WATERS also returned for another performance at BFD. 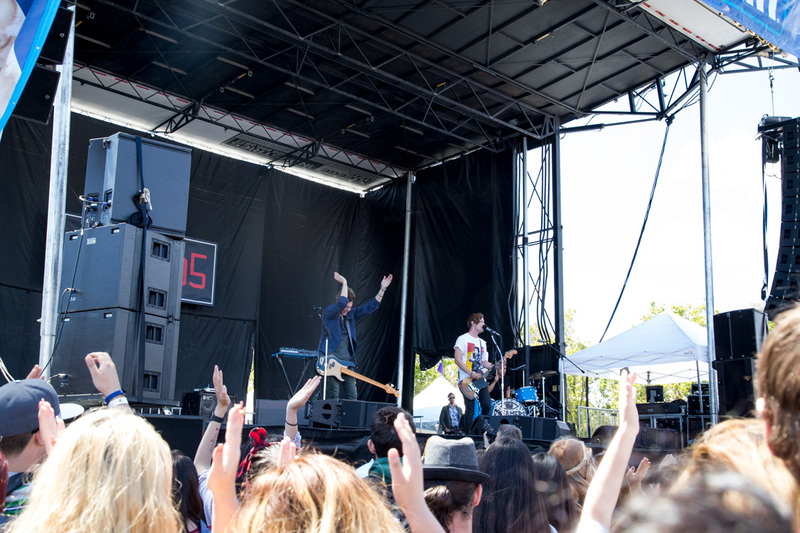 Equipped with a fresh new album Something More, the high energy fivesome treated Bay Area fans to new tunes. 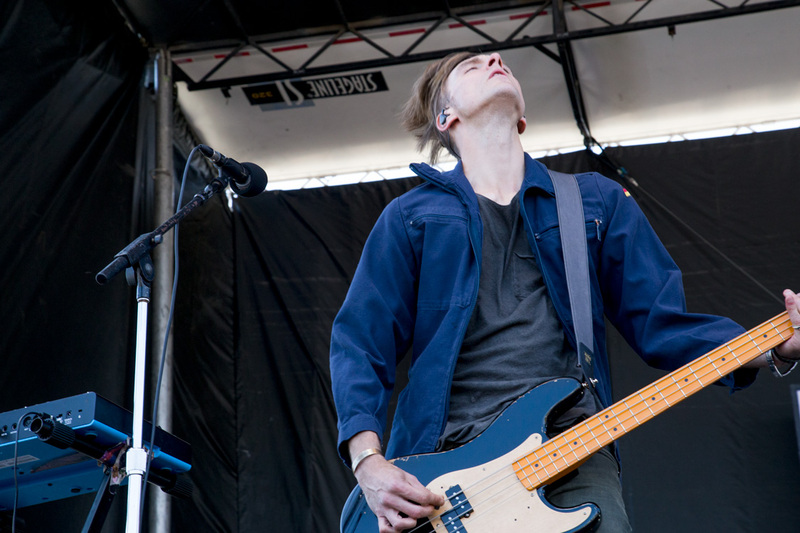 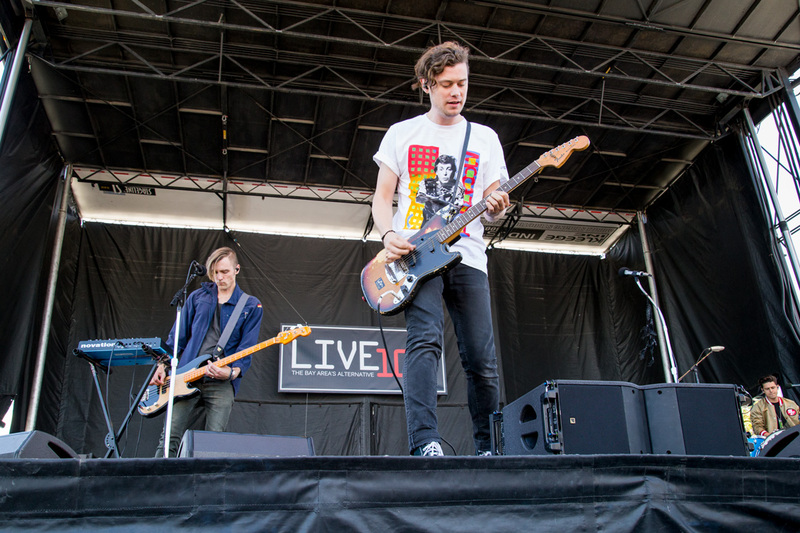 Graduating from the local stage and kicking off the festival stage, the indie-rockers played for a full crowd of fans who already knew the words to new songs such as "Hiccups" and "Molly Is A Babe." 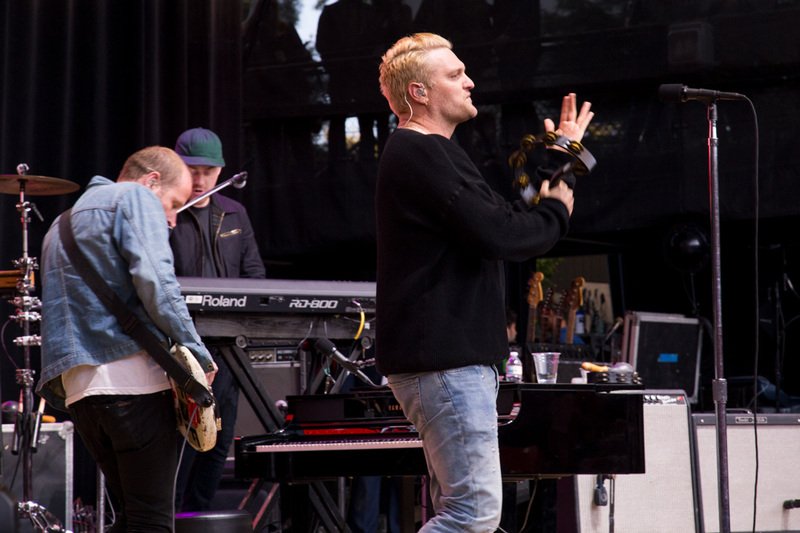 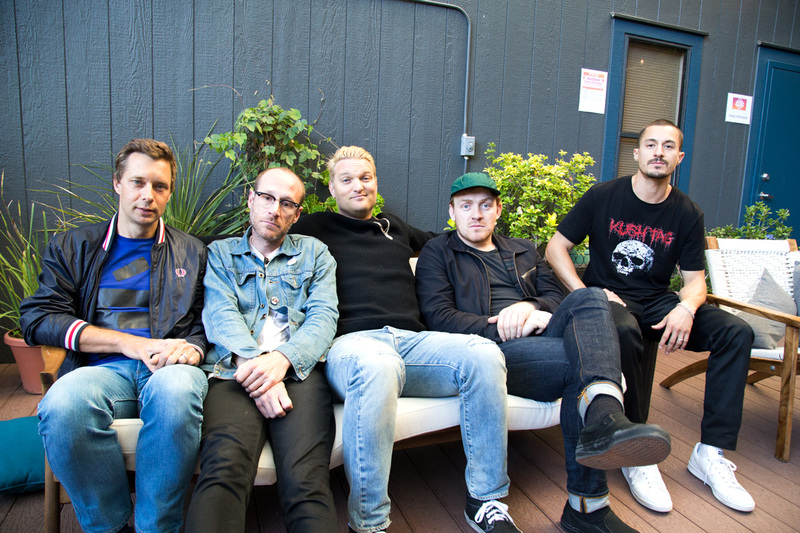 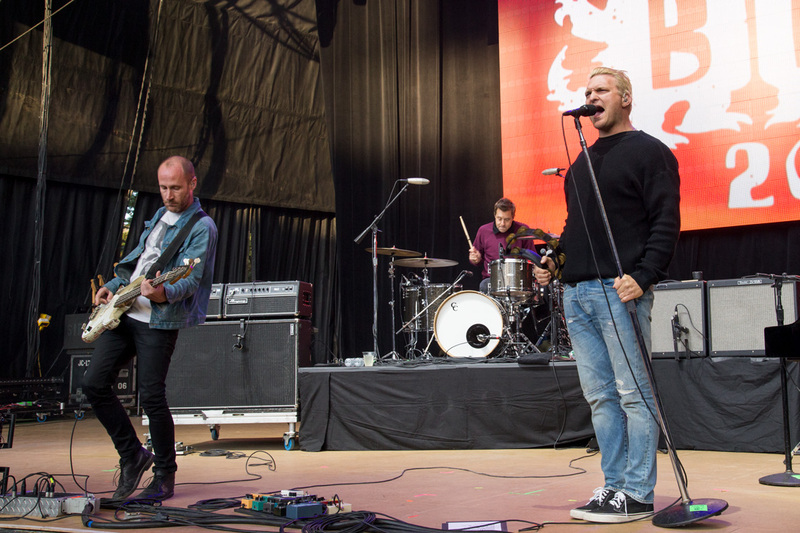 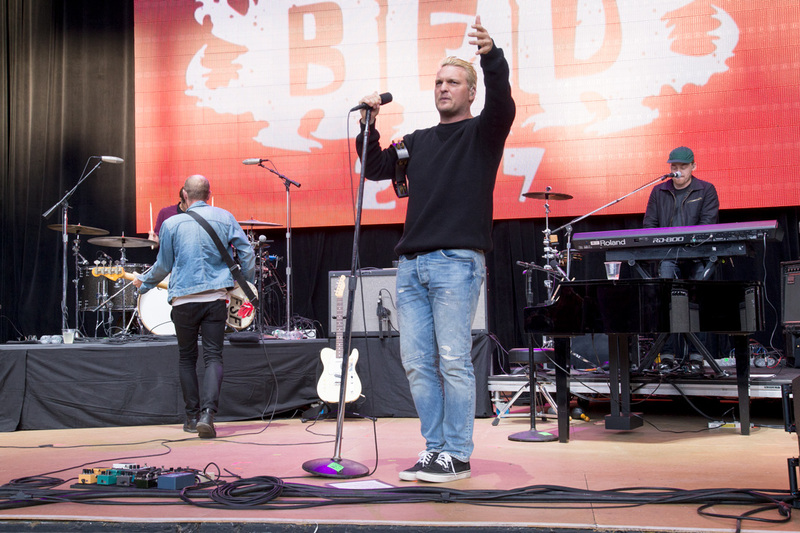 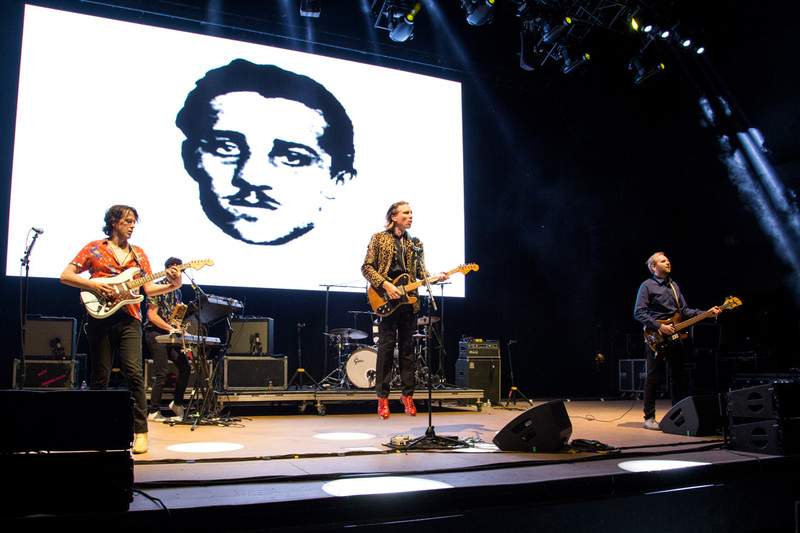 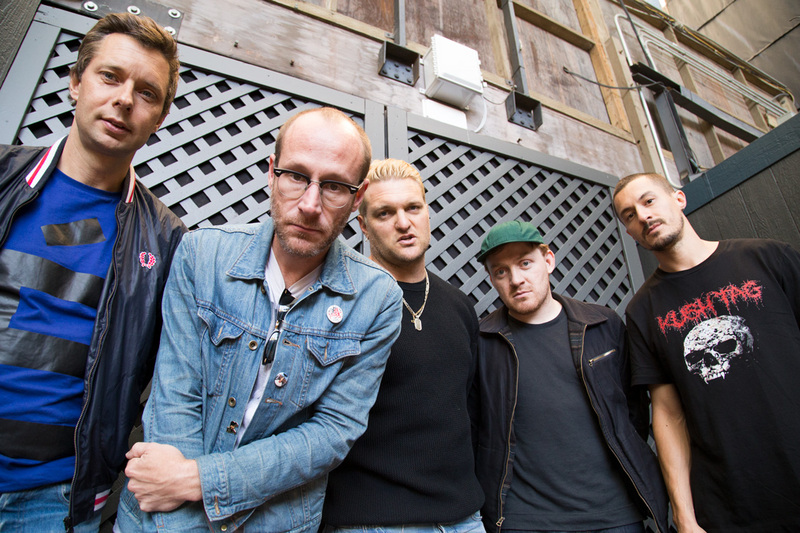 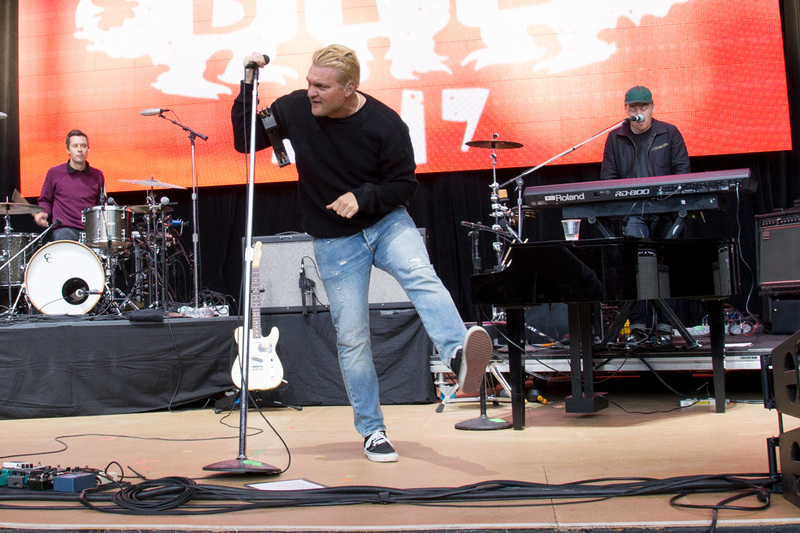 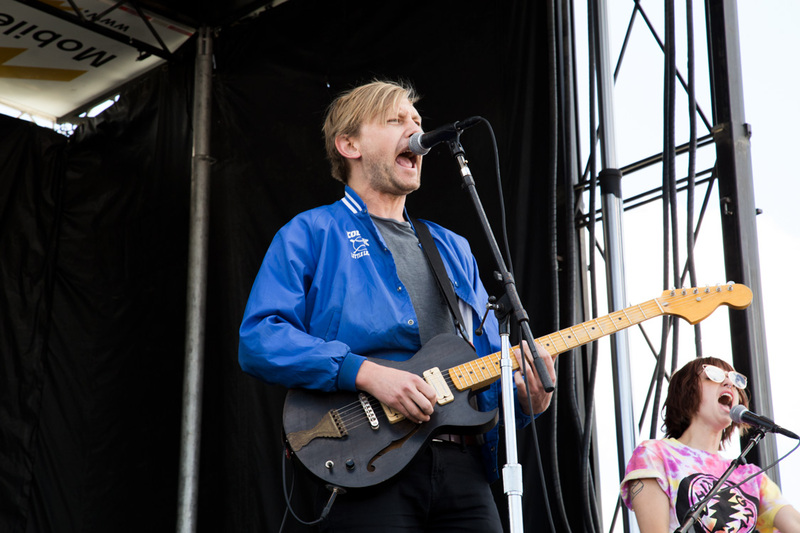 Speaking of bands who've played the festival before, Cold War Kids managed to make it to the Shoreline Amphitheatre for a set on the main stage after playing Bonnaroo Music Festival the night before. 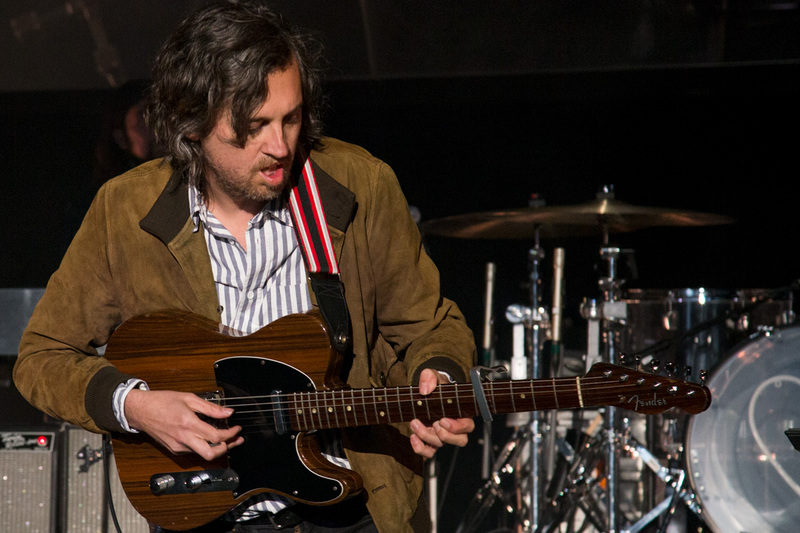 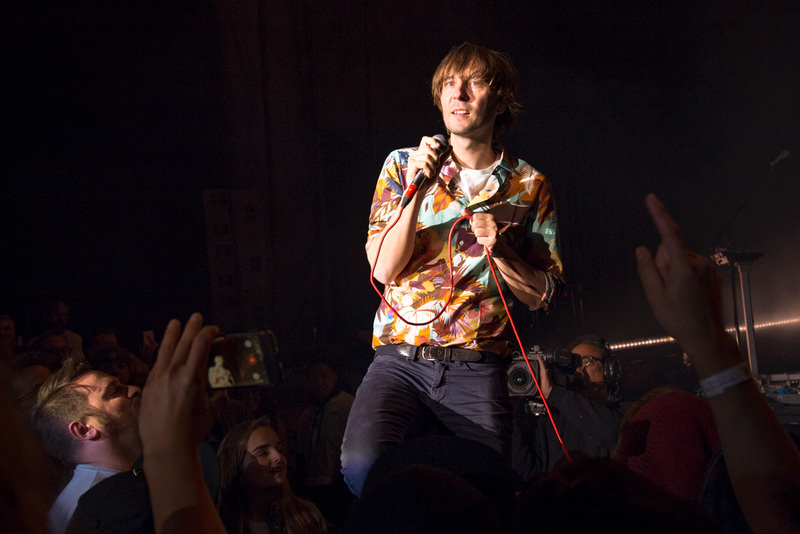 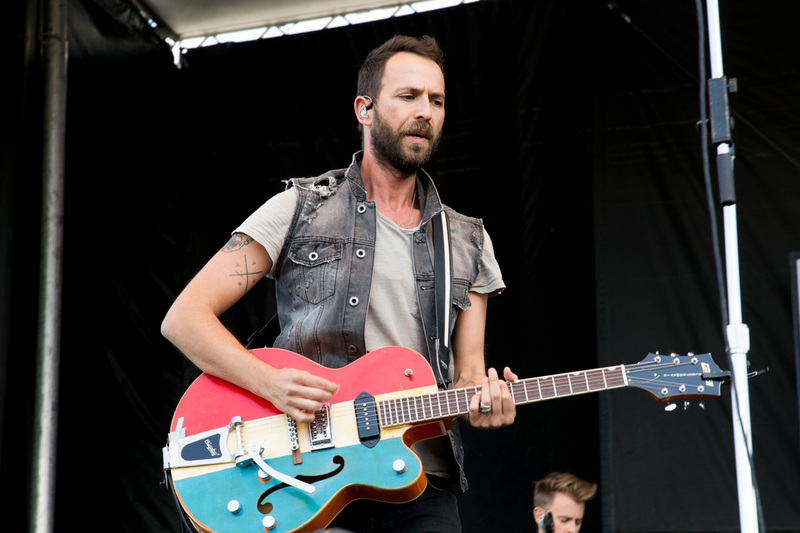 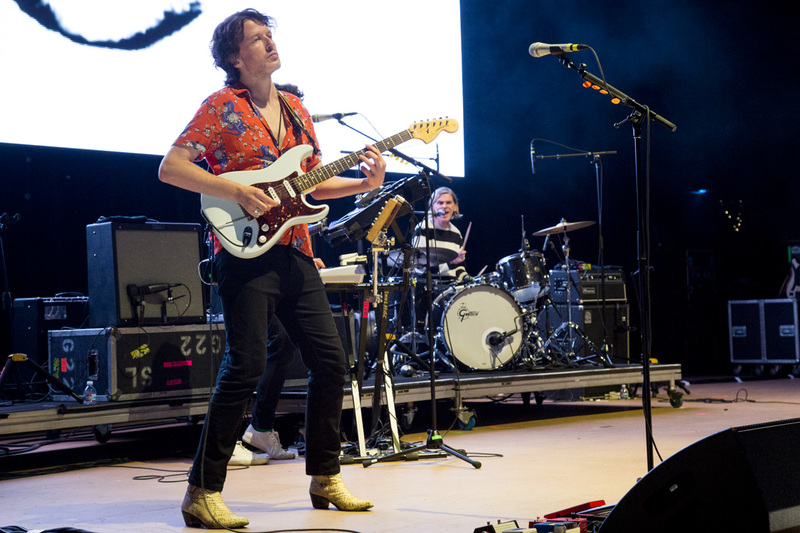 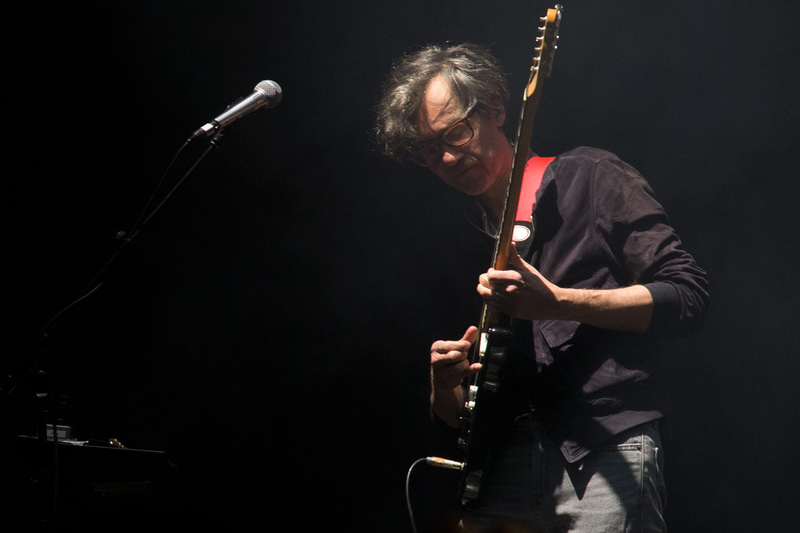 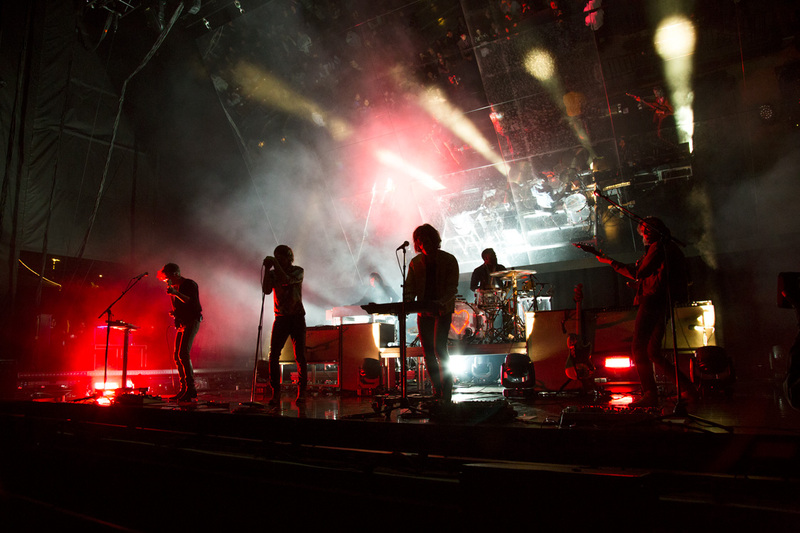 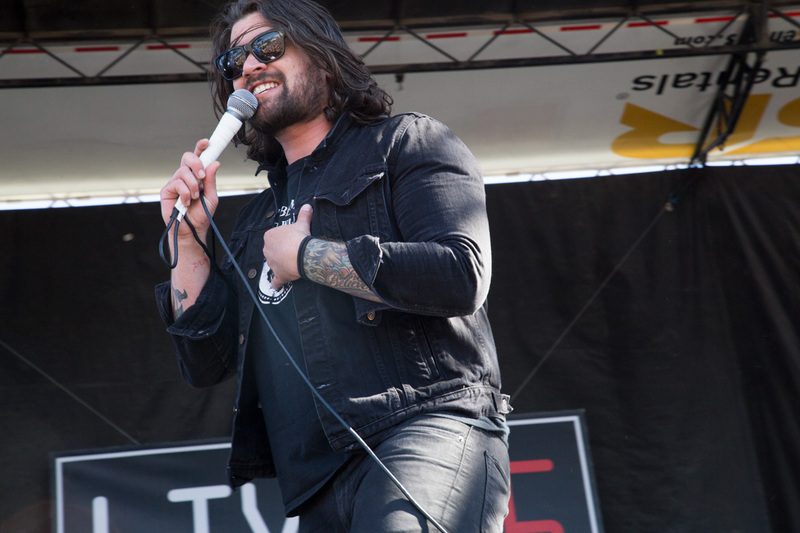 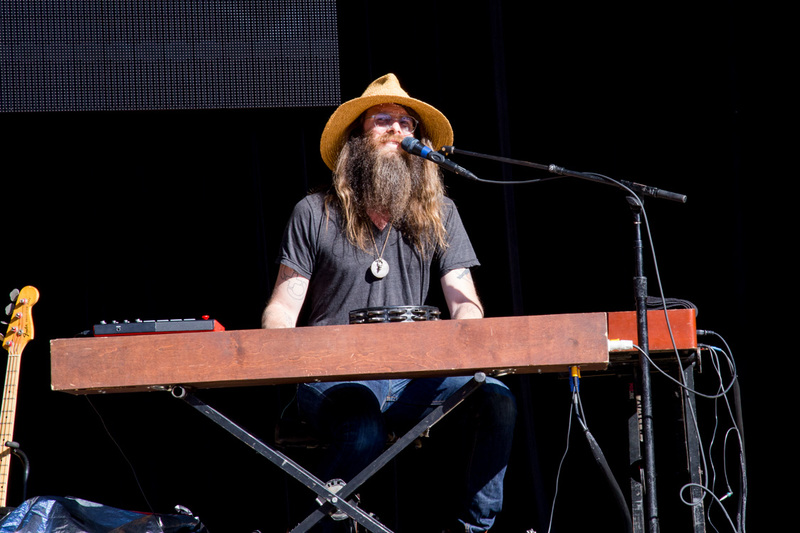 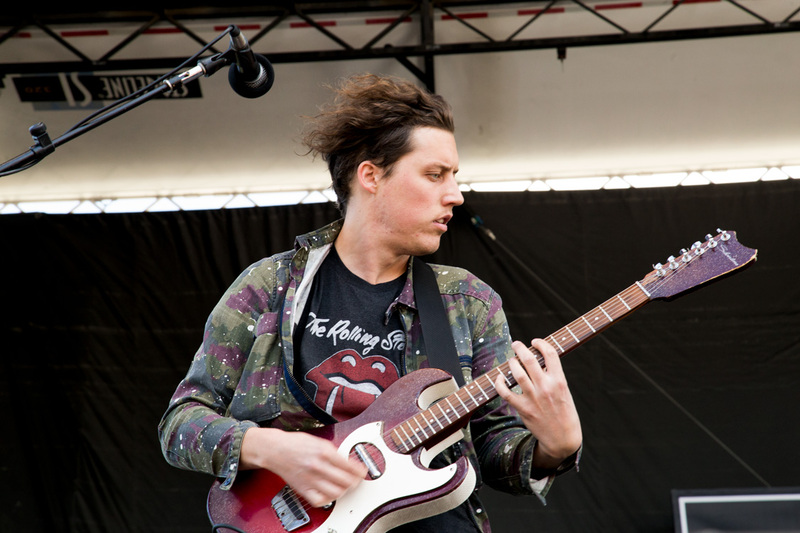 The band performed a top-notch set despite the long journey from Manchester, Tennessee and showed no signs of fatigue from a long journey across states. 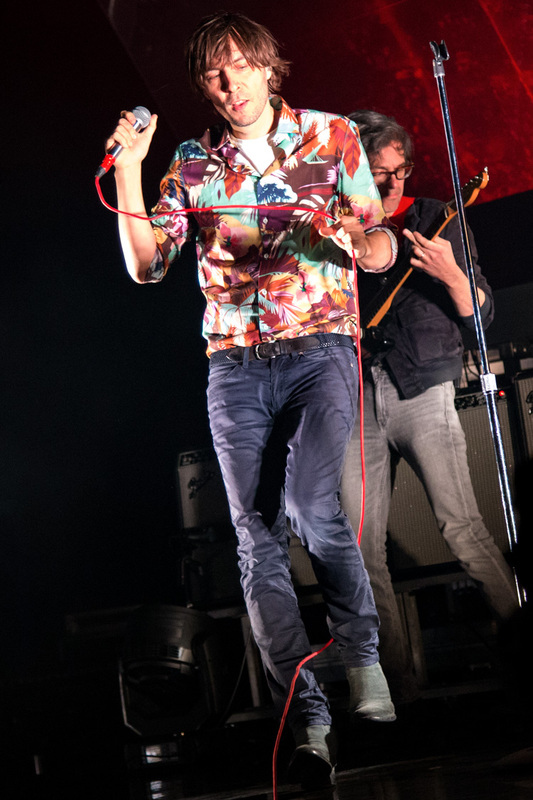 Singer Nathan Willett danced and shook his tambourine in a contagious fashion. 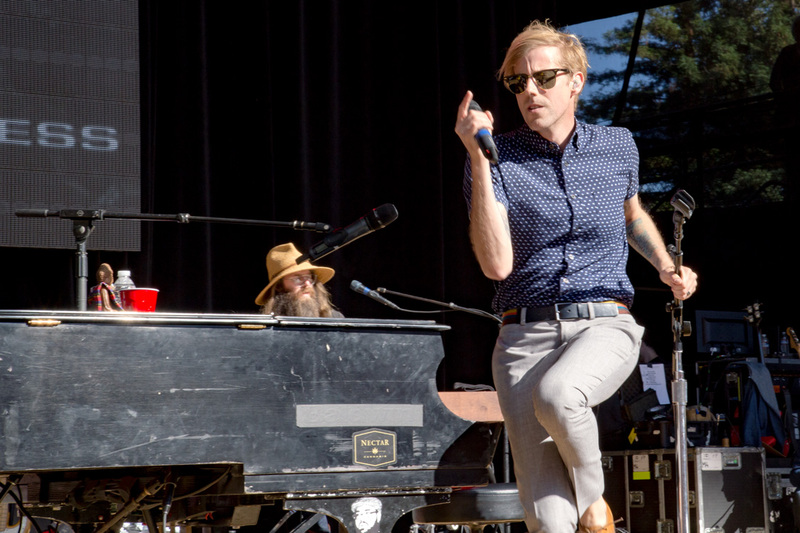 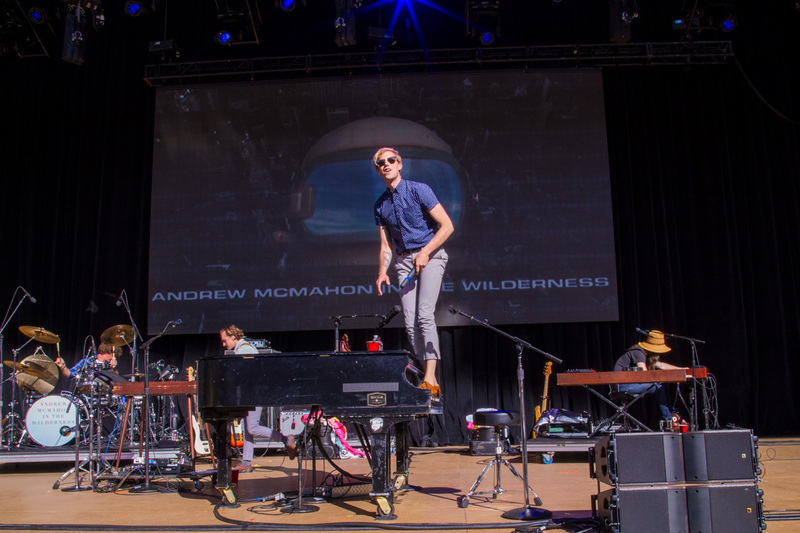 So much so, that I even spotted members of other main stage acts such as Andrew McMahon in the Wilderness dancing to the band's songs amongst the crowd. 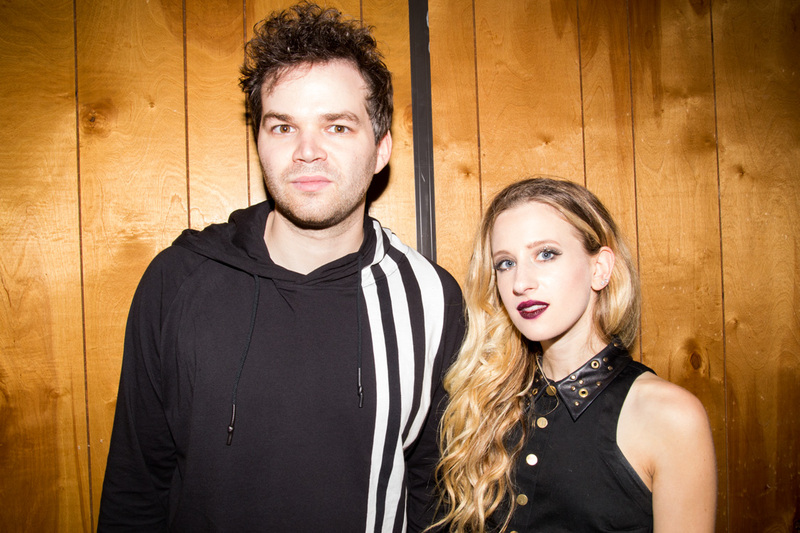 Another great act was Marian Hill, named after the Music Man character's Marian Paroo and Harold Hill. 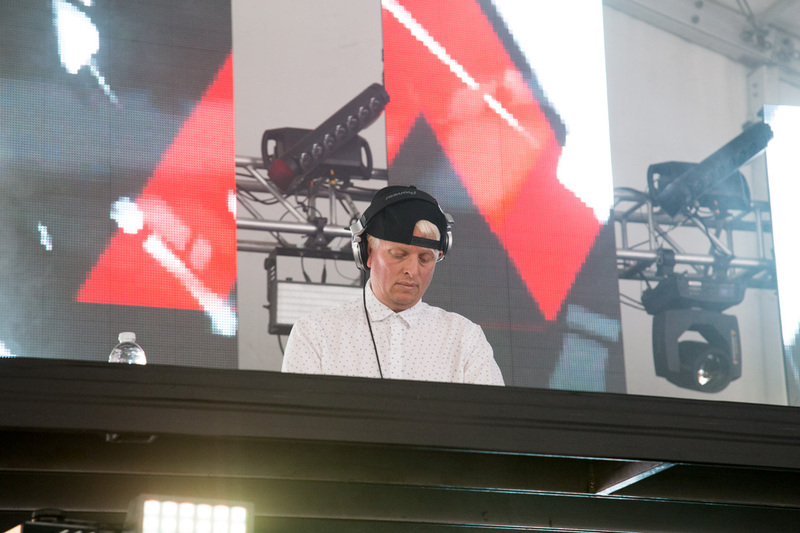 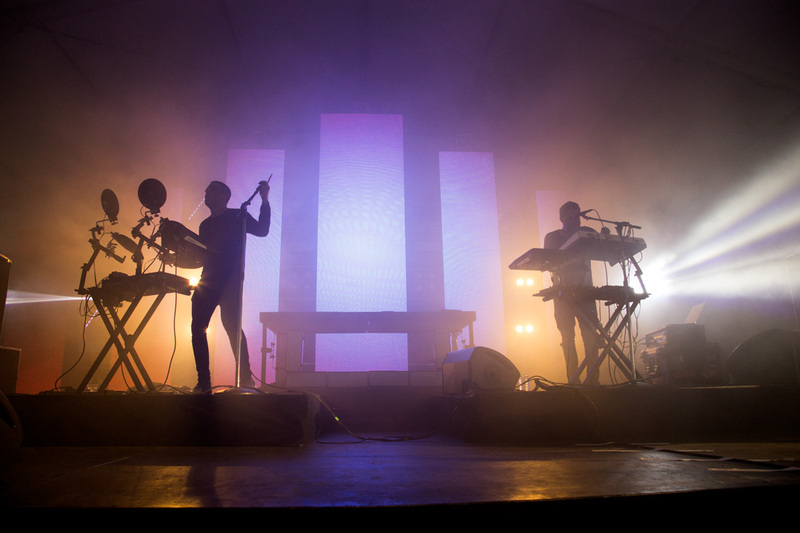 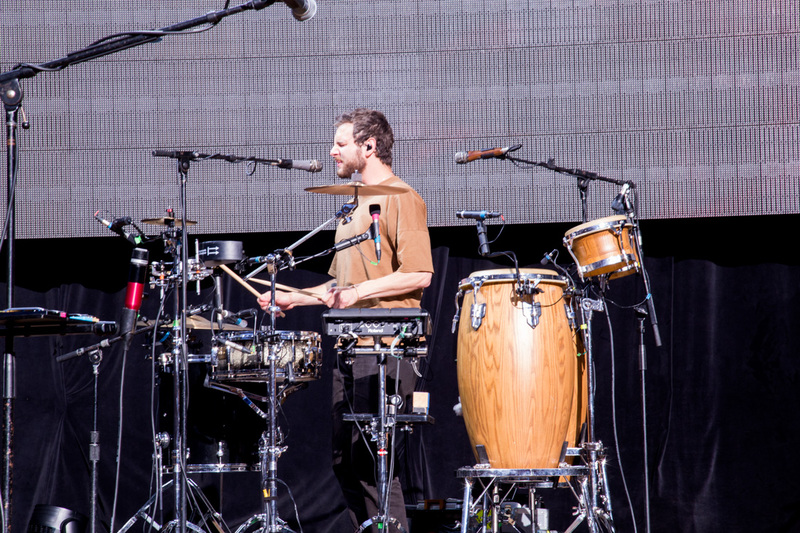 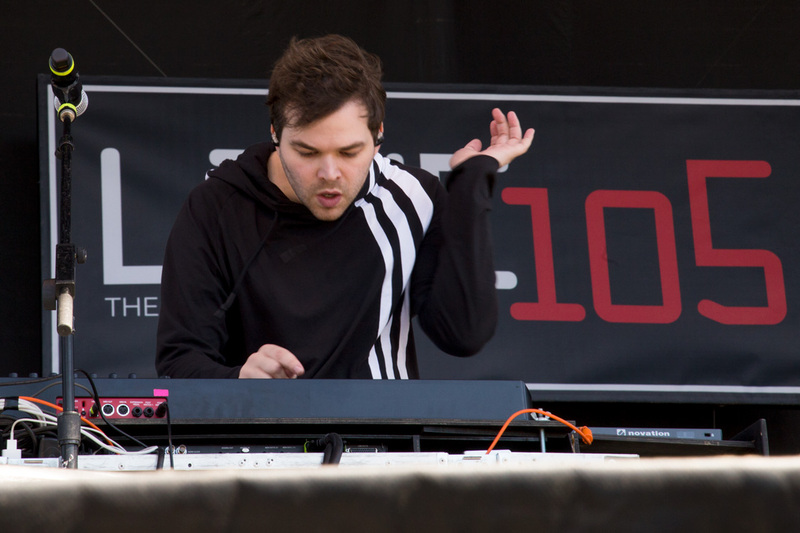 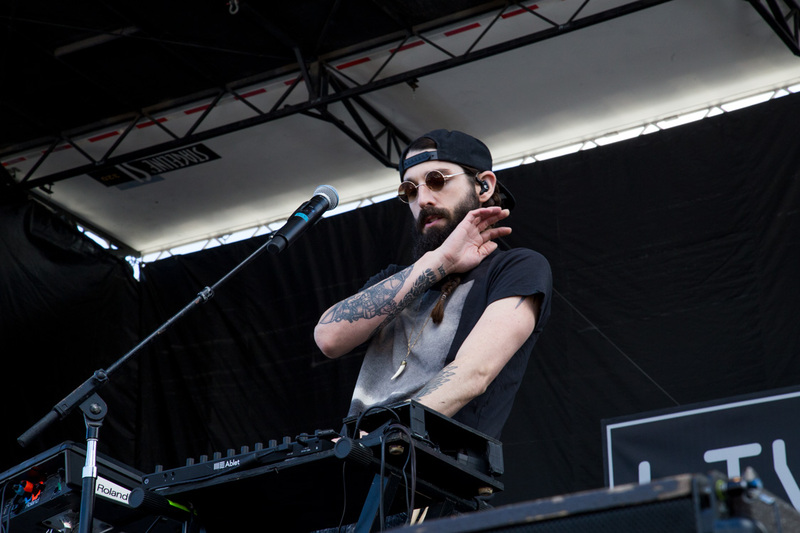 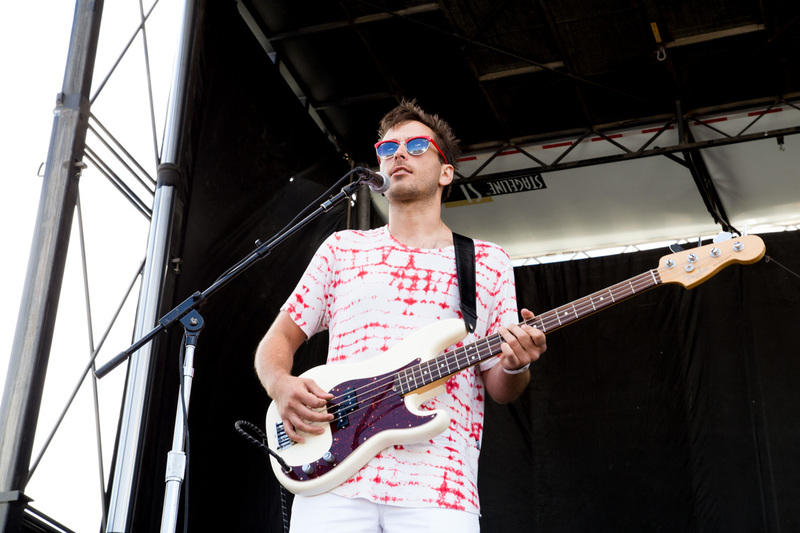 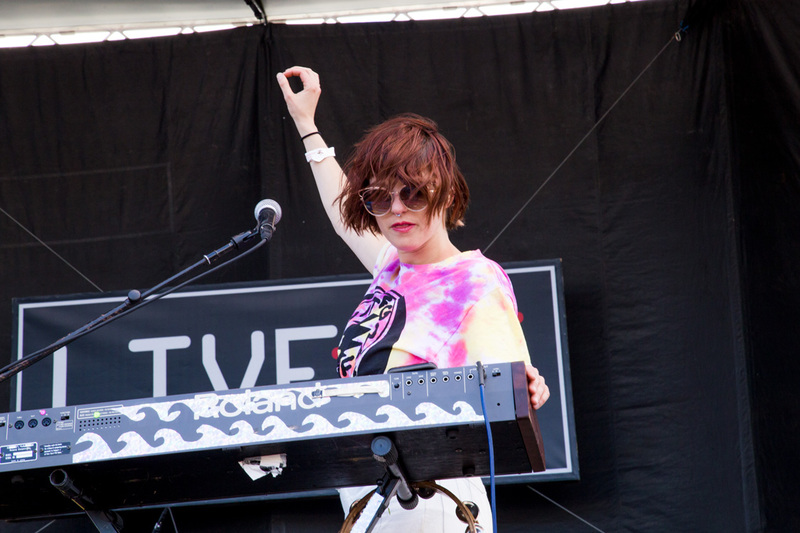 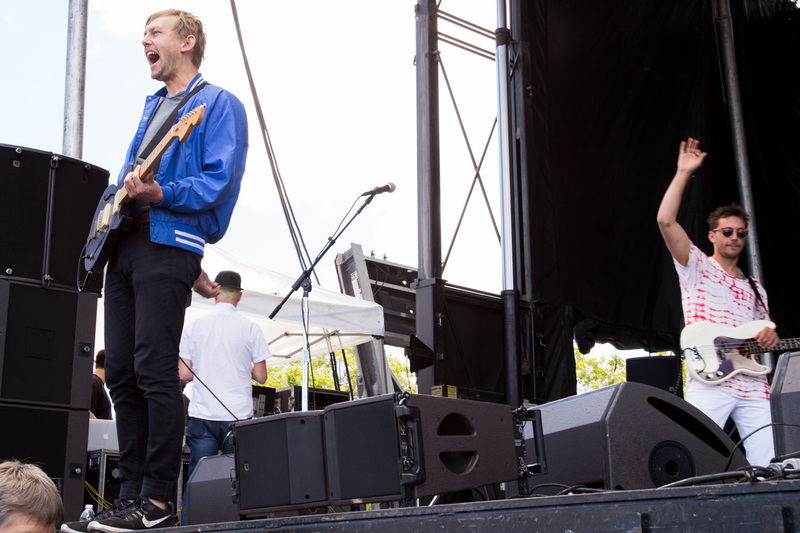 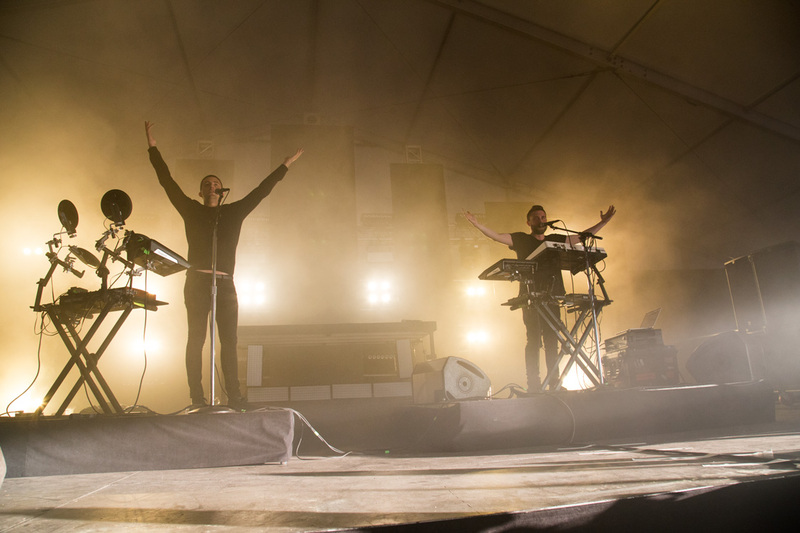 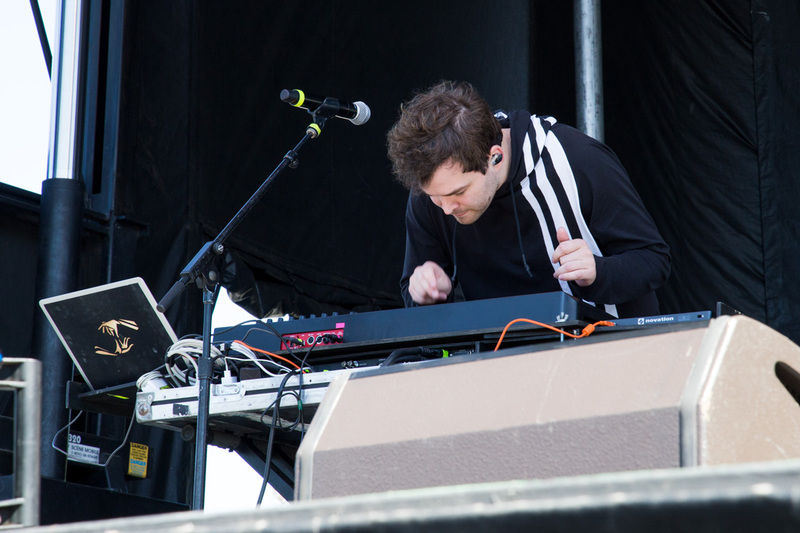 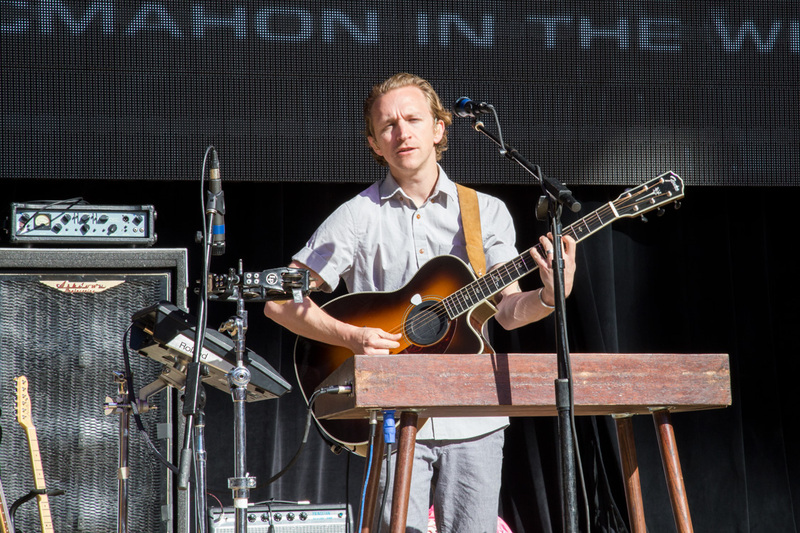 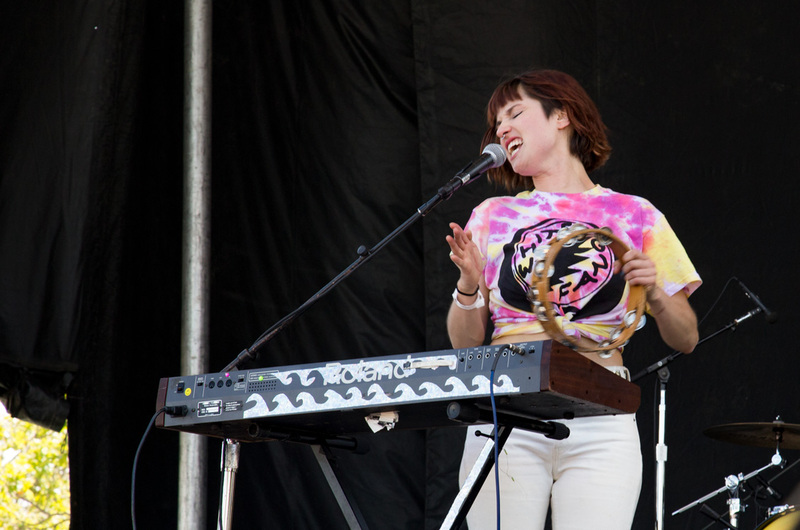 The Philadelphia duo's catchy synth tunes had the audience dancing in time to their beats. 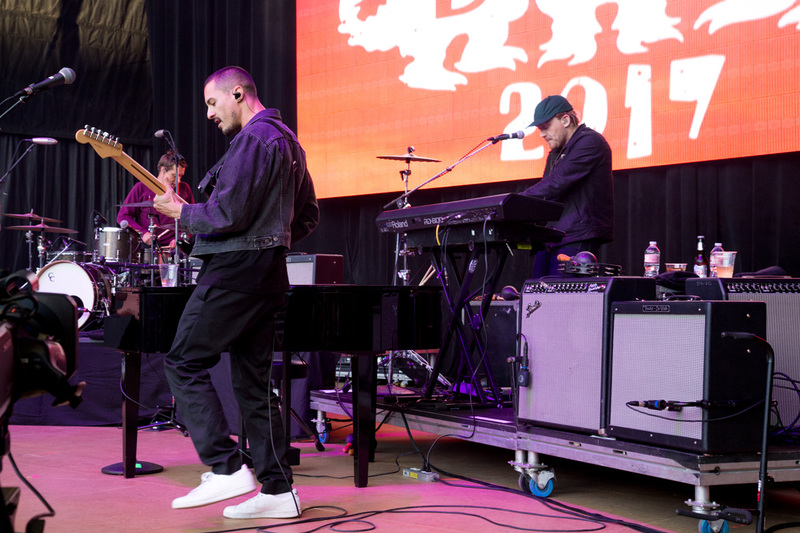 Among crowd pleasers I noticed were "Down," and "One Time," which most of the audience cheered for as soon as the opening song notes hit the air. 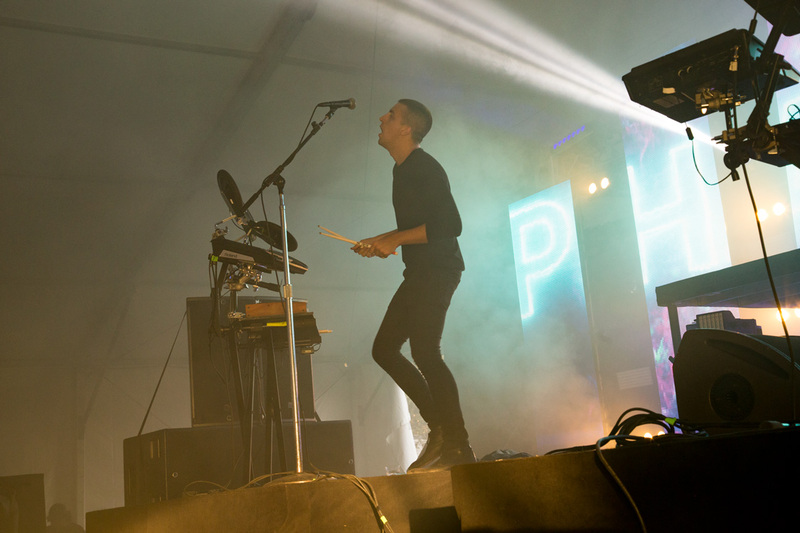 Electronic musicians Phantoms also had the crowd in the Subsonic tent lost in a dance trance. 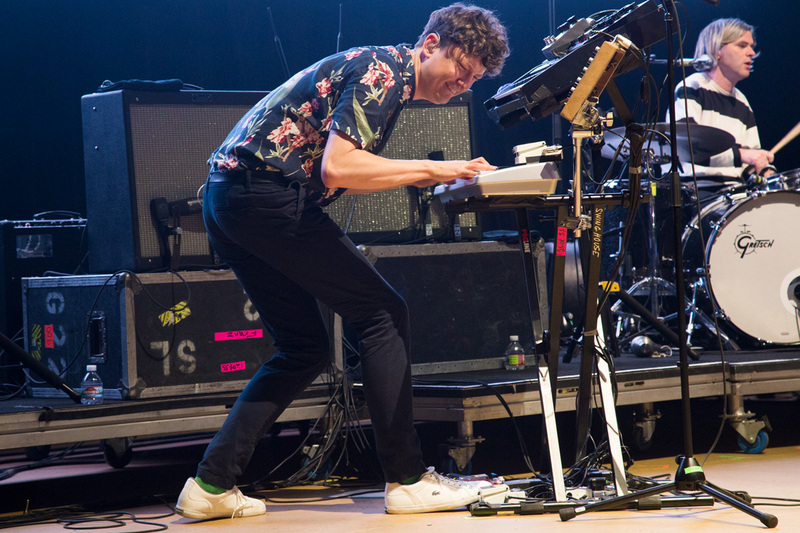 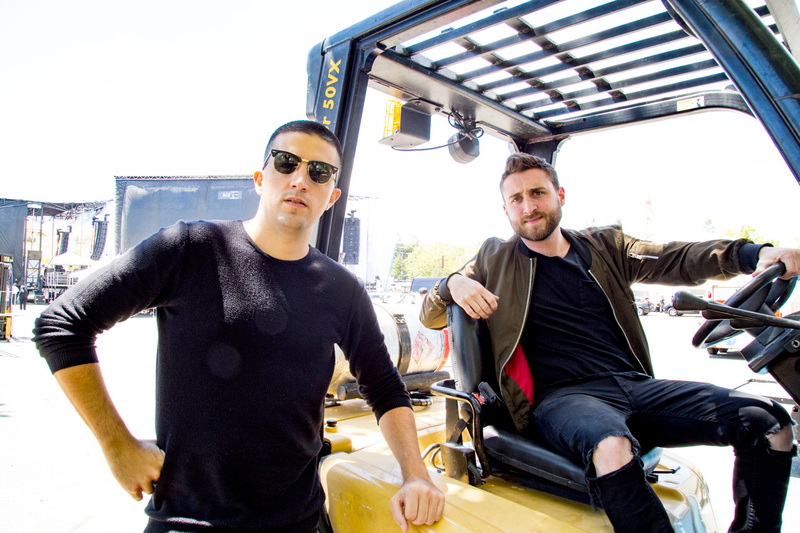 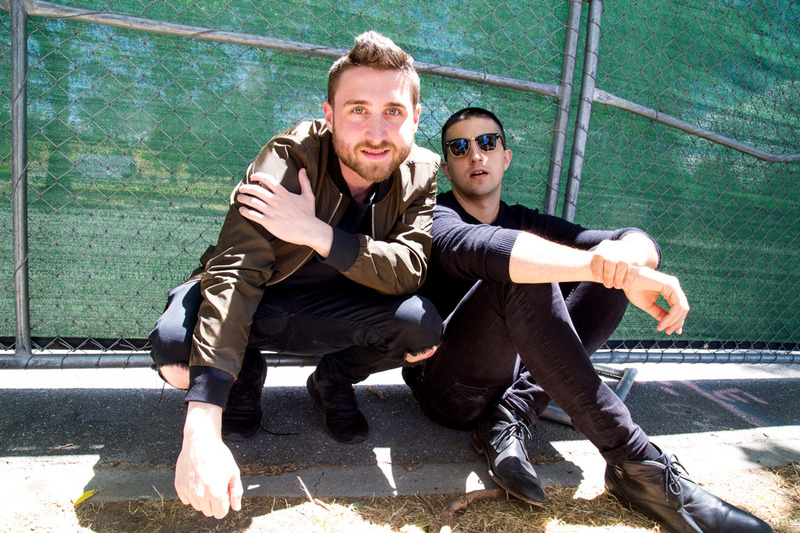 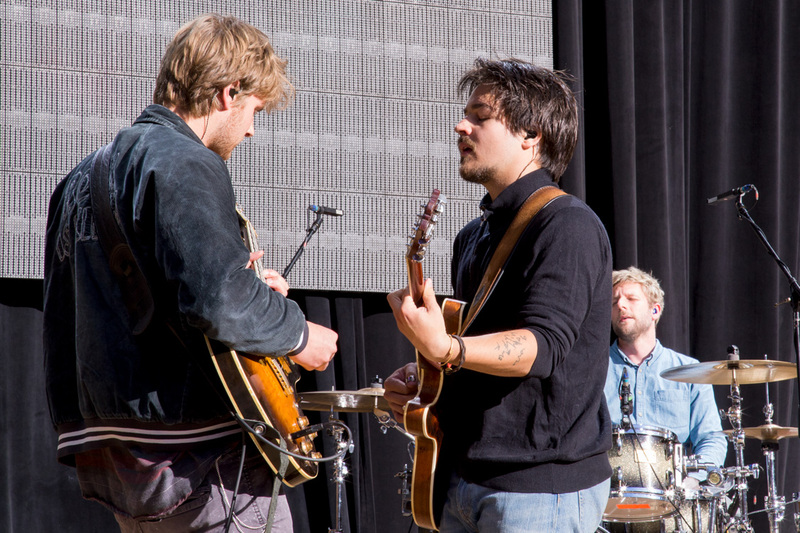 The Los Angeles-based duo played a mix of original tracks and killer remixes such as an infectious rendition of Tame Impala's "Elephant." 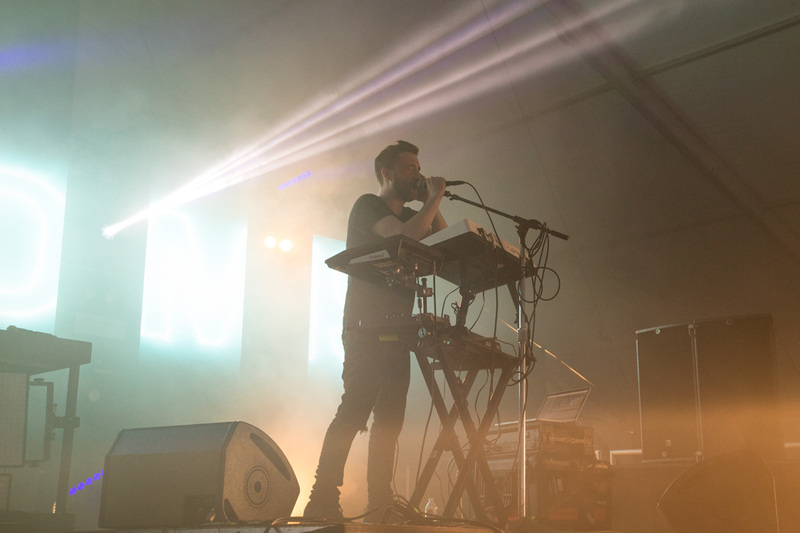 I could see the pair's light show from across the festival grounds as the sun started to set and seemed to attract festival attendees like moths because at the end of the night the tent was full of flailing bodies. 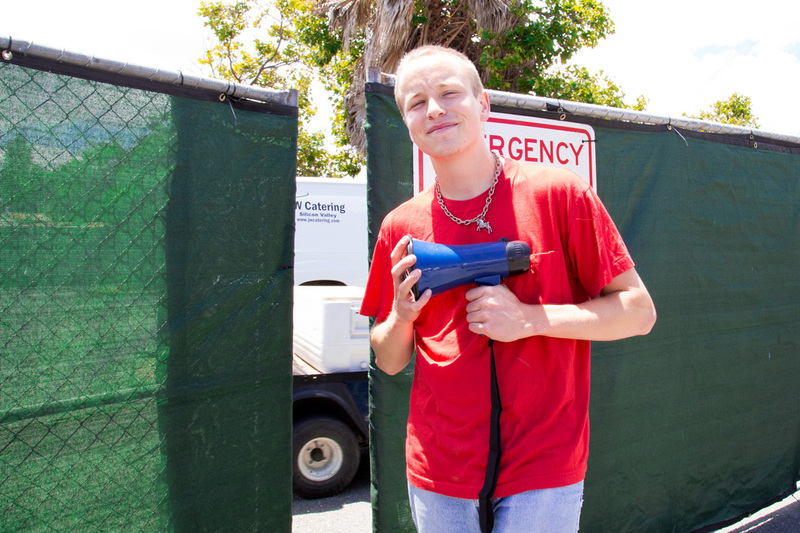 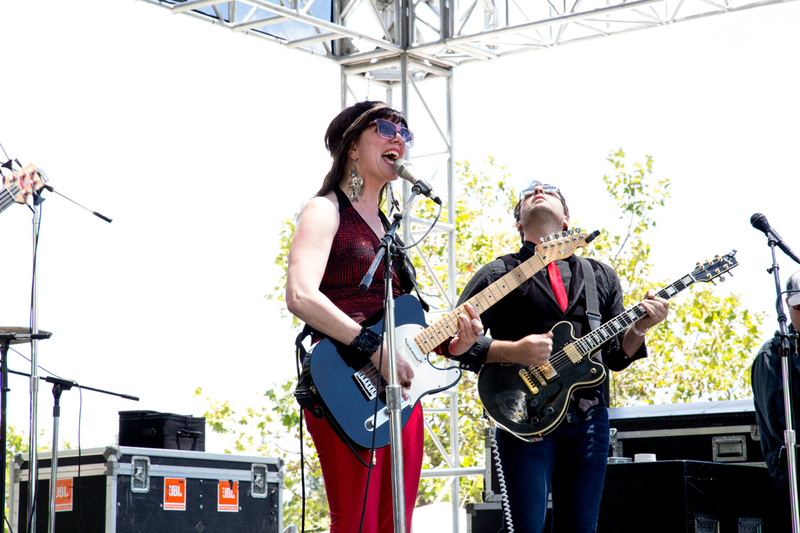 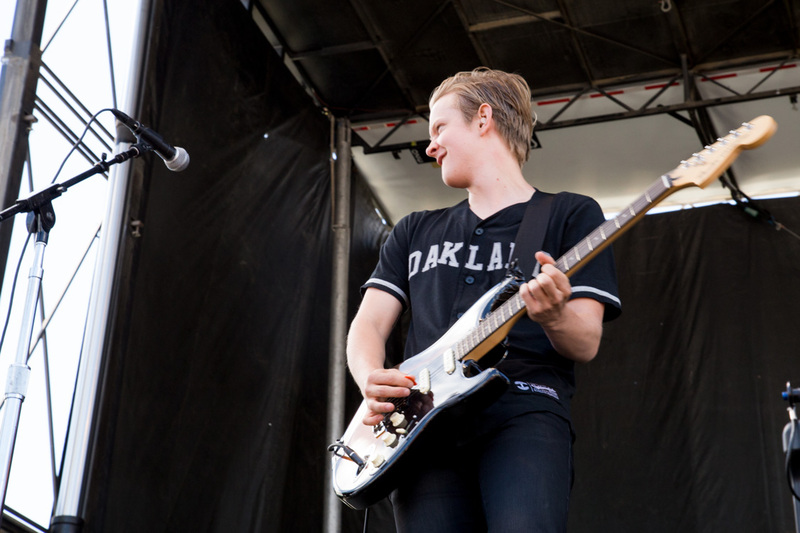 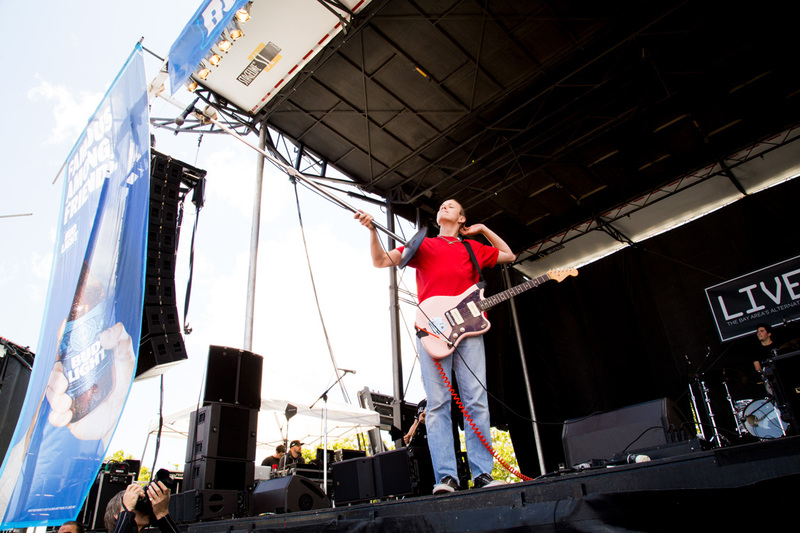 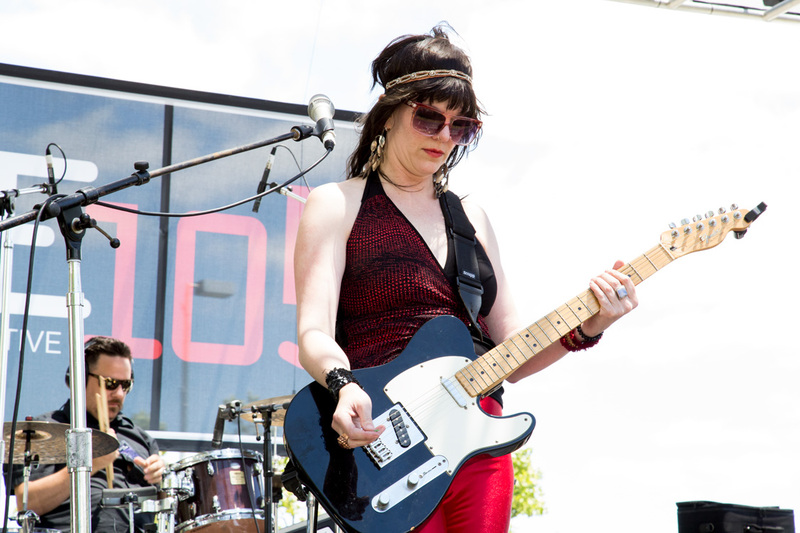 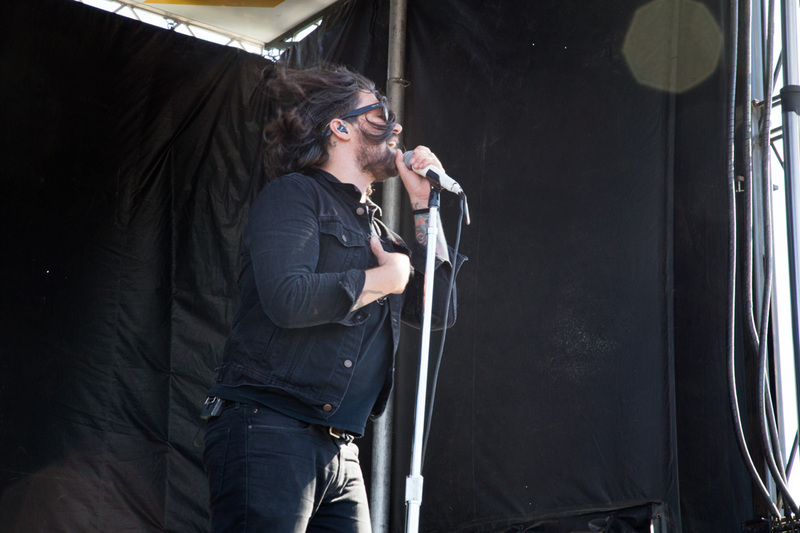 For more festival highlights, check out my slideshow of this year's BFD below. 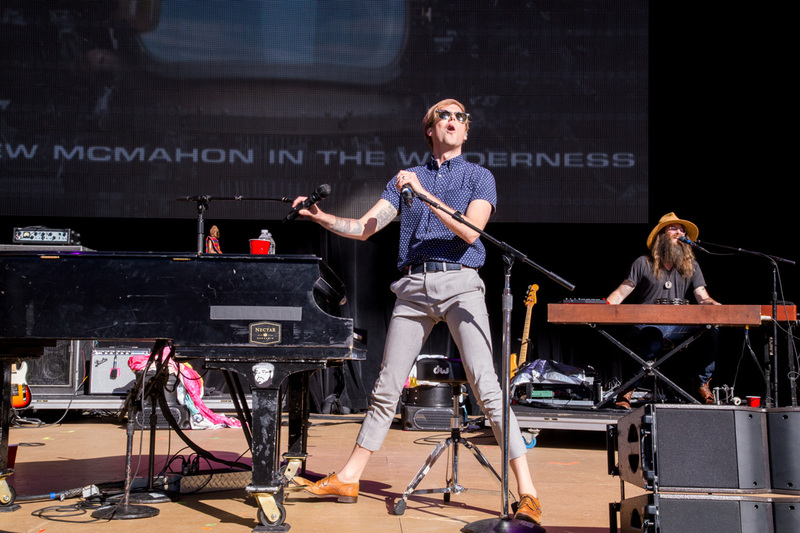 Photos + Review: Burt Bacharach quips, "You wonder why I am still doing this."